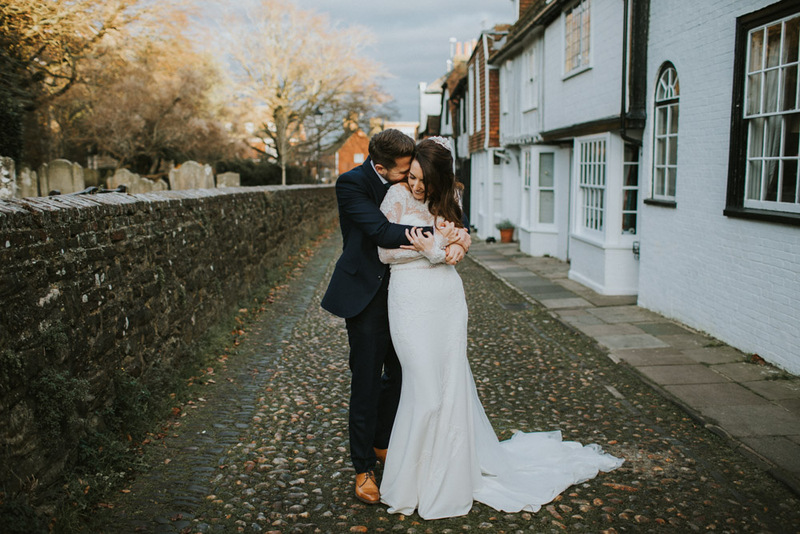 Cobbled streets and festive cheer! 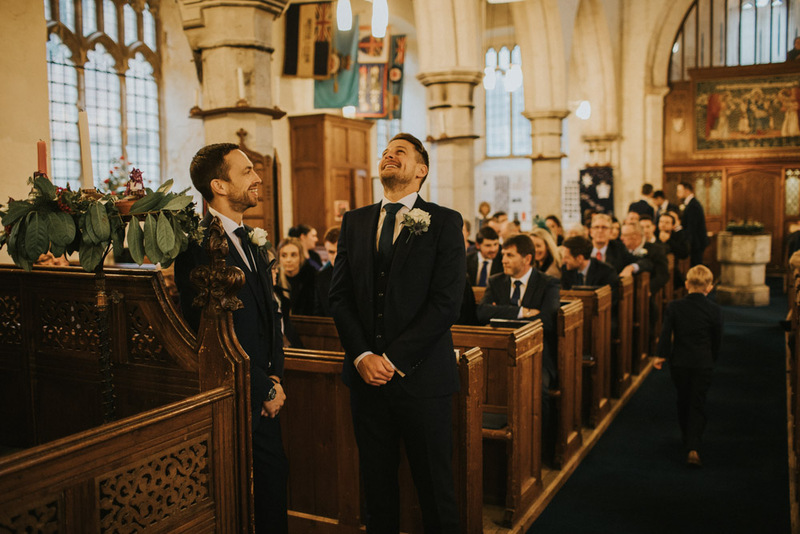 Woah, where to begin this amazing journey!! 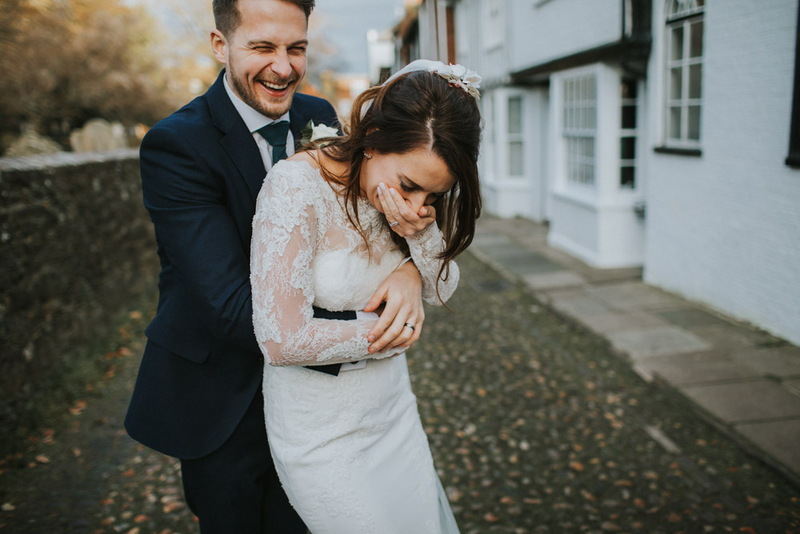 Getting to know this wicked duo truly has been one of the perks of the job! 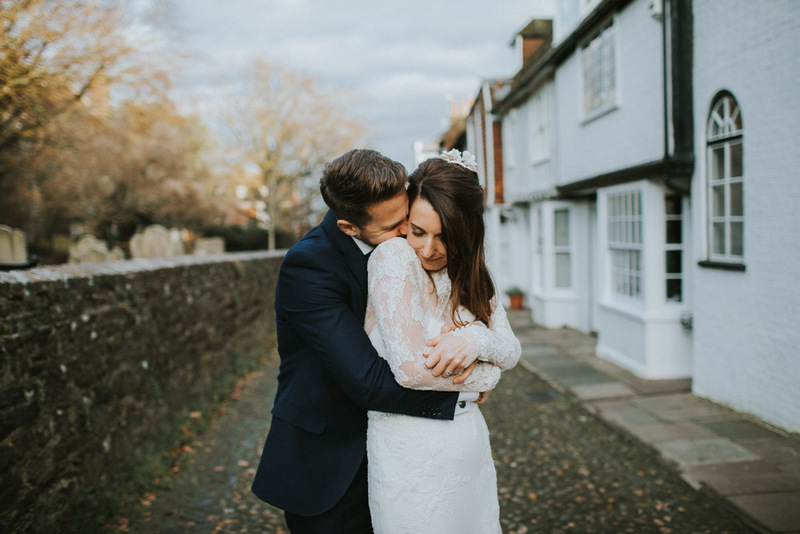 After photographing their pre-wedding shoot back in the autumn of 2017 at the very spot where their journey together pretty much began, it felt like the perfect way to start the telling of their story. 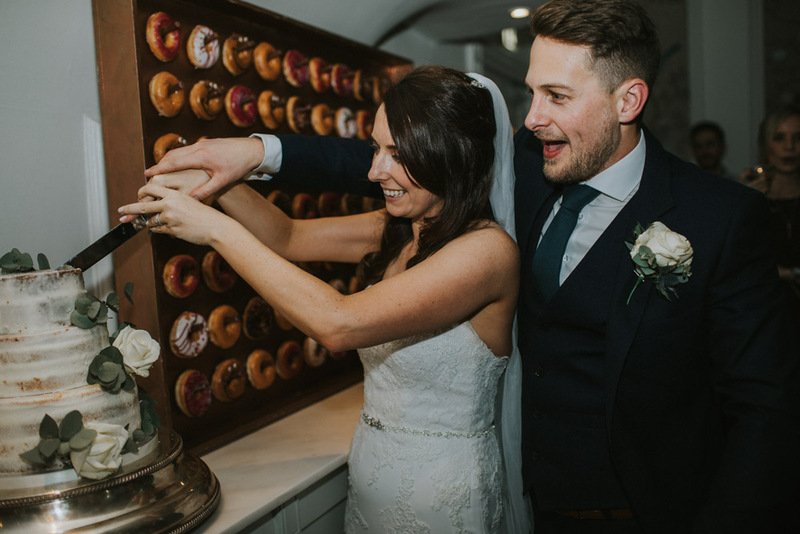 Emails were sent, calls were had and many teas were downed. 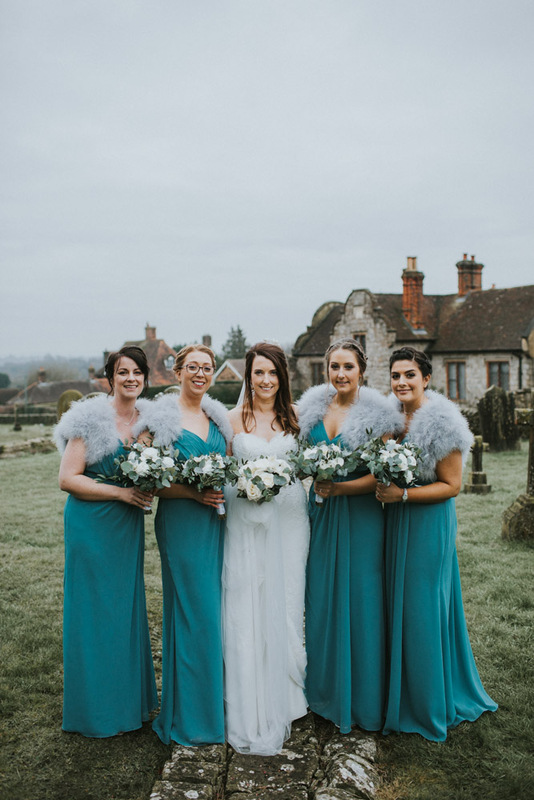 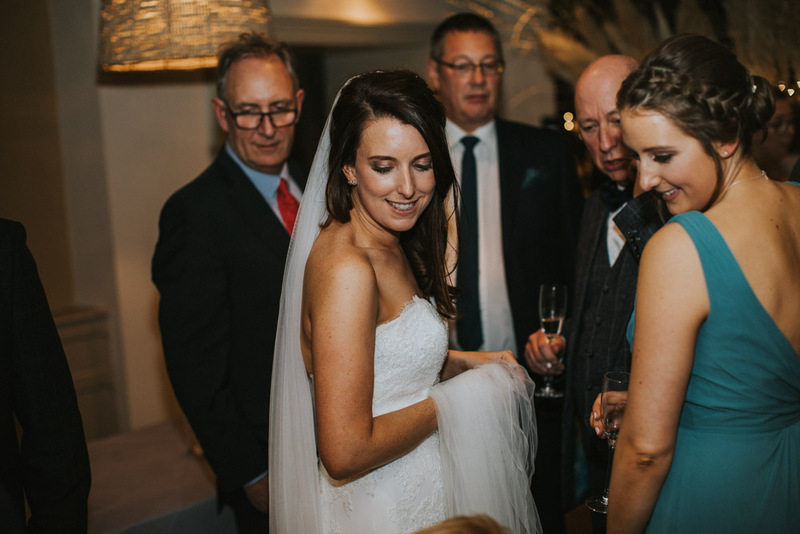 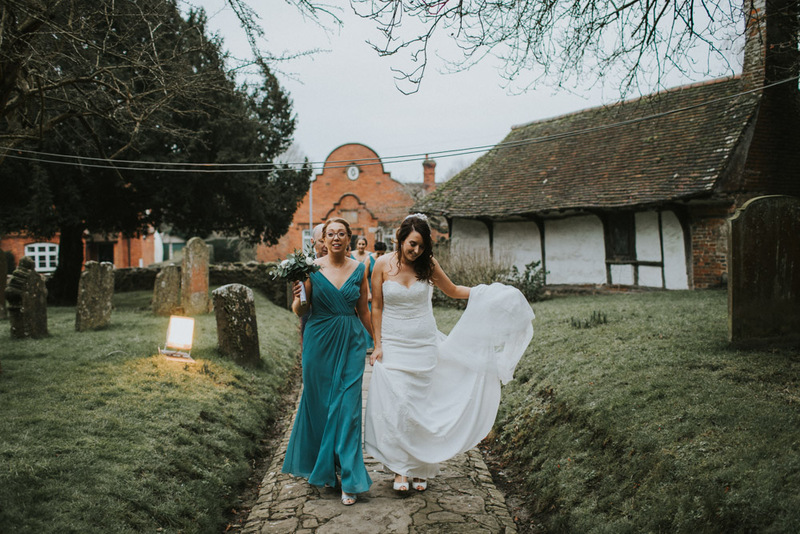 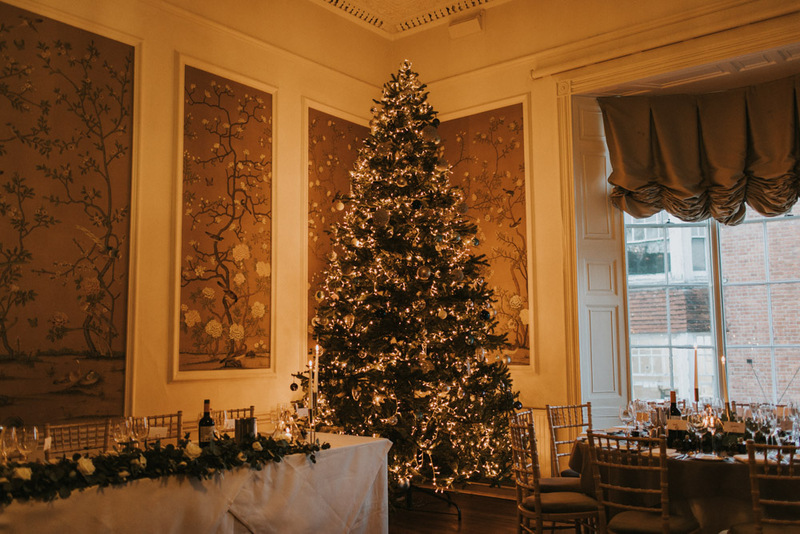 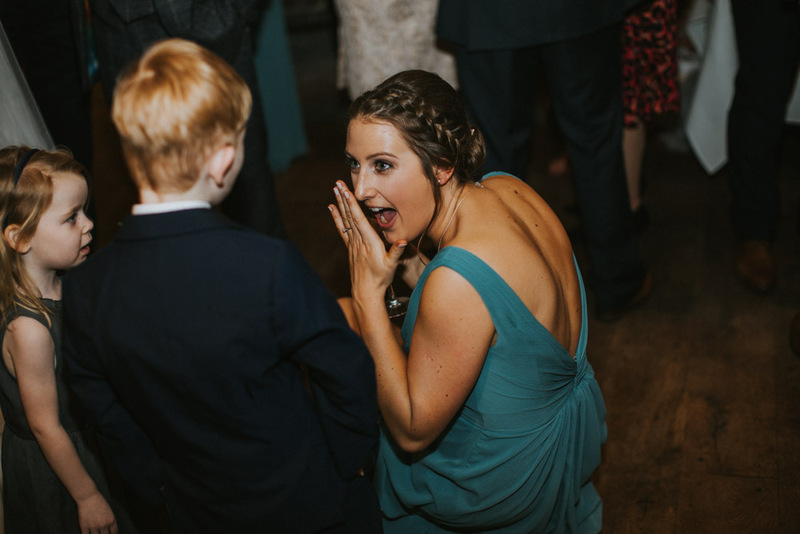 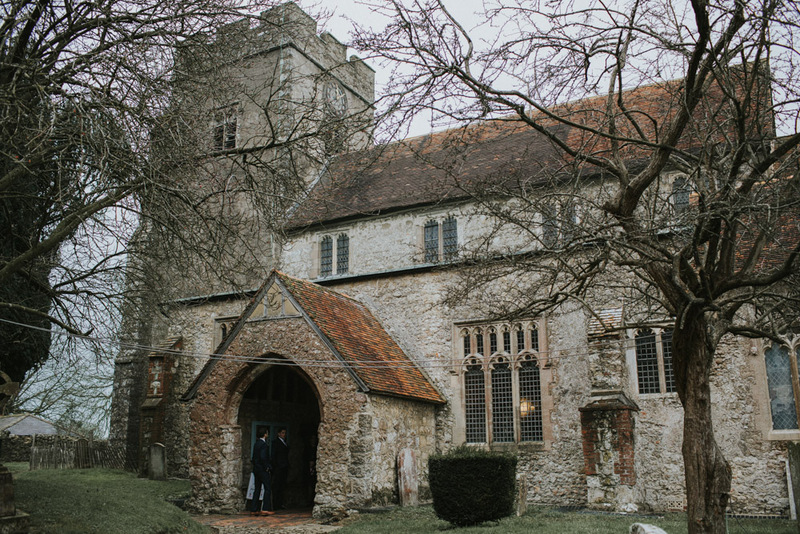 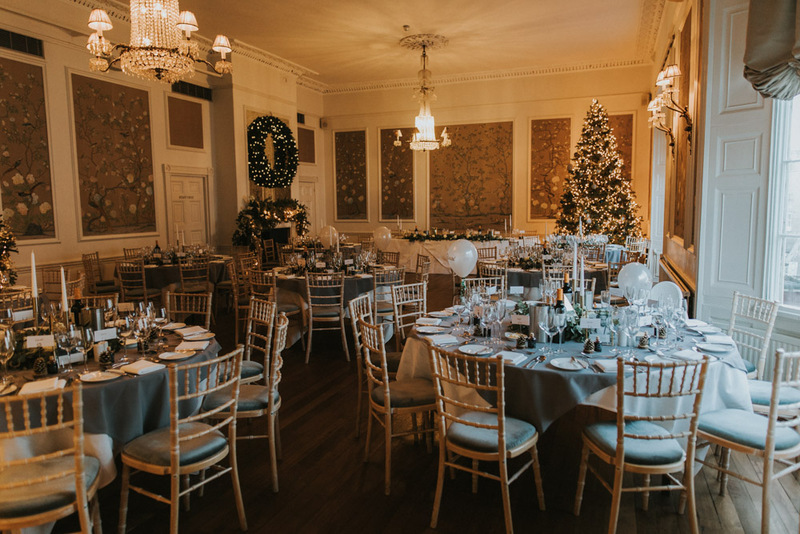 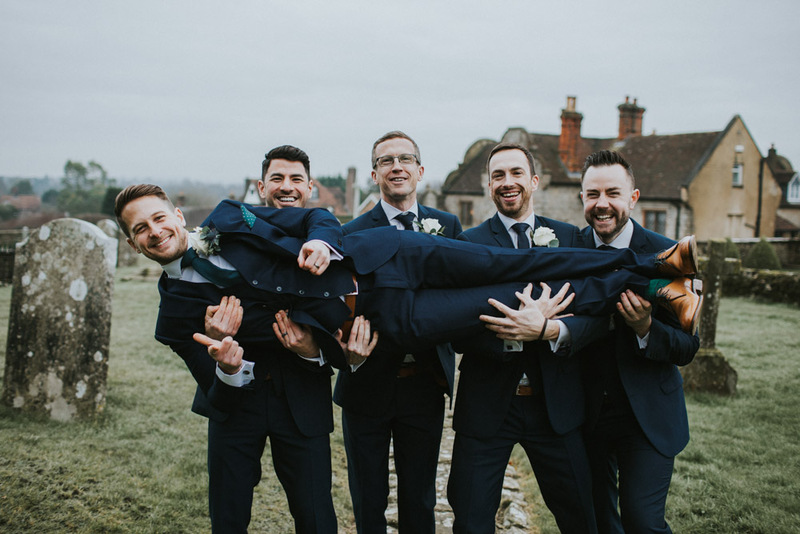 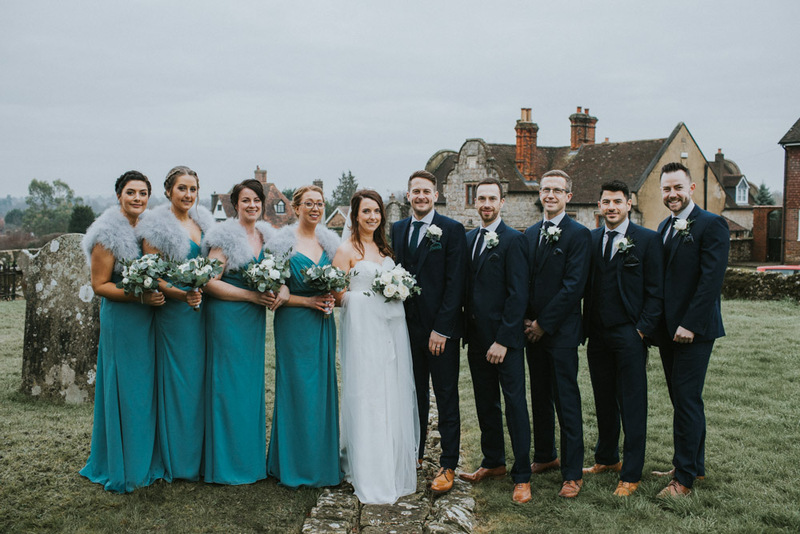 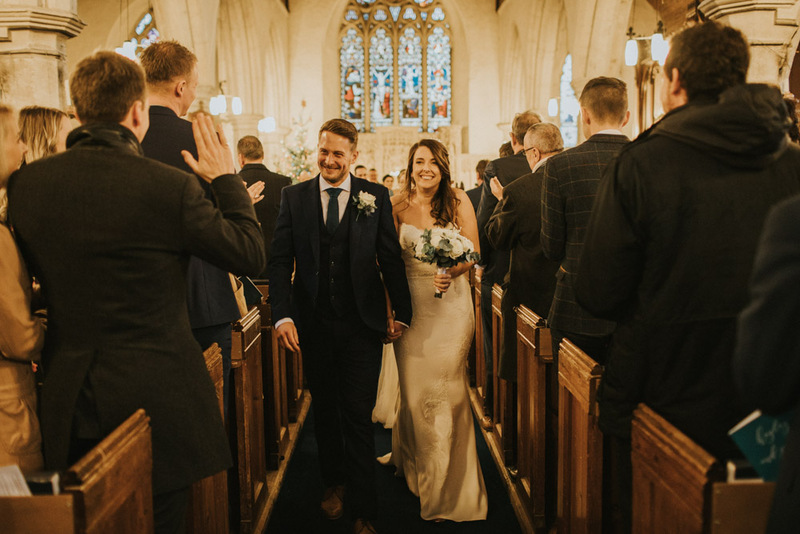 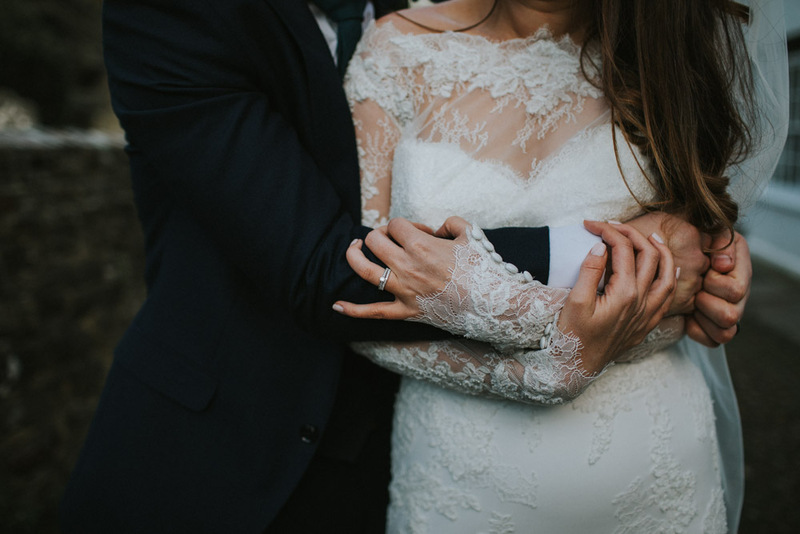 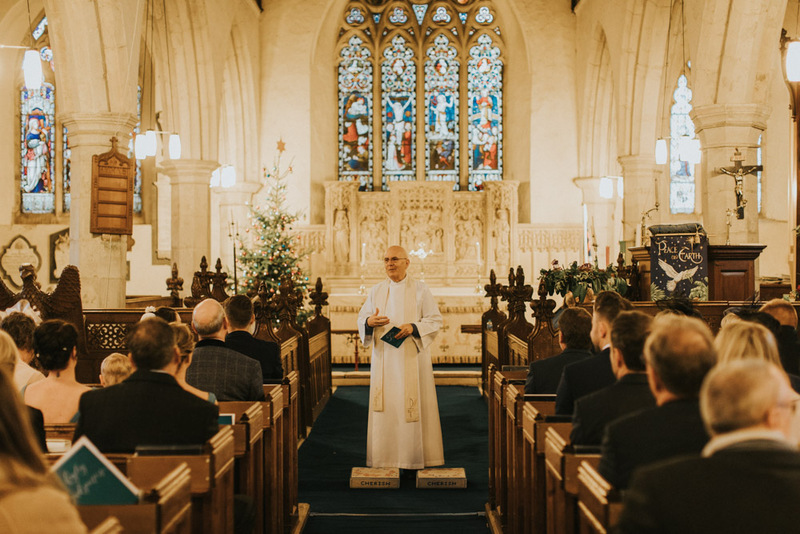 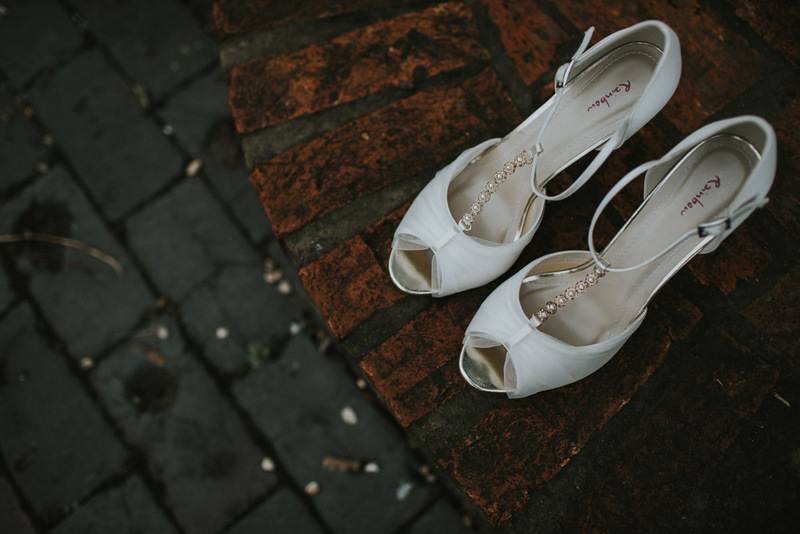 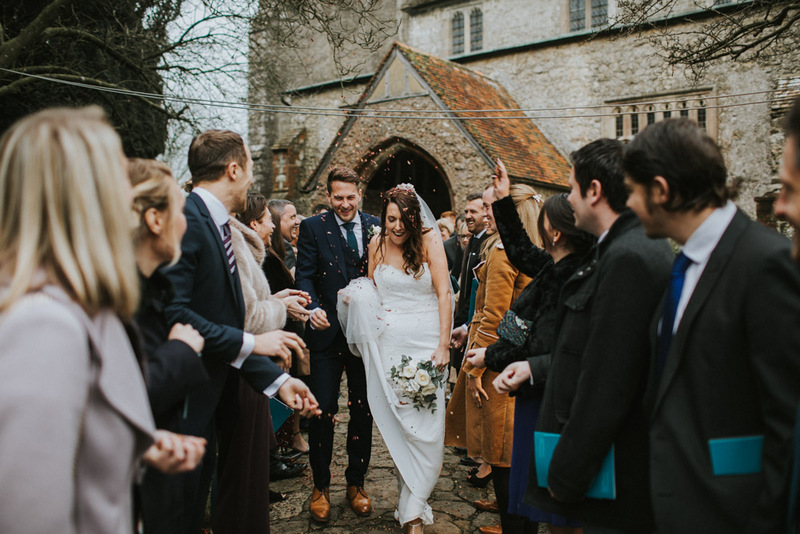 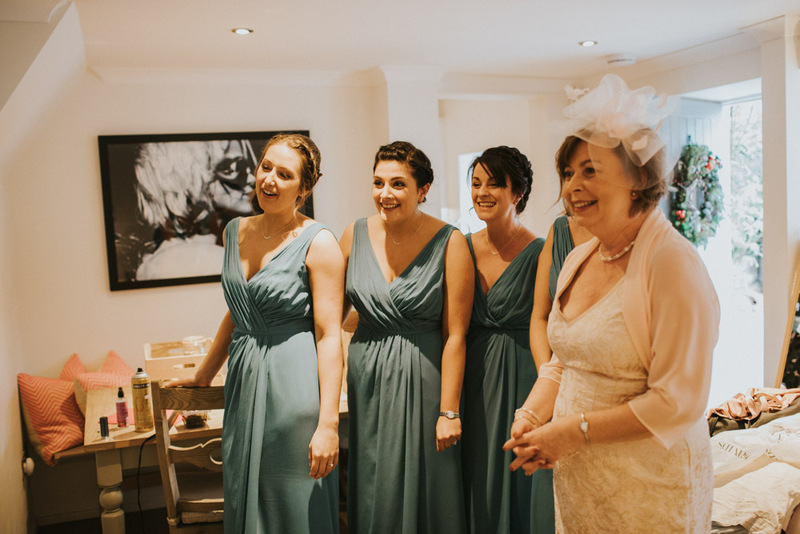 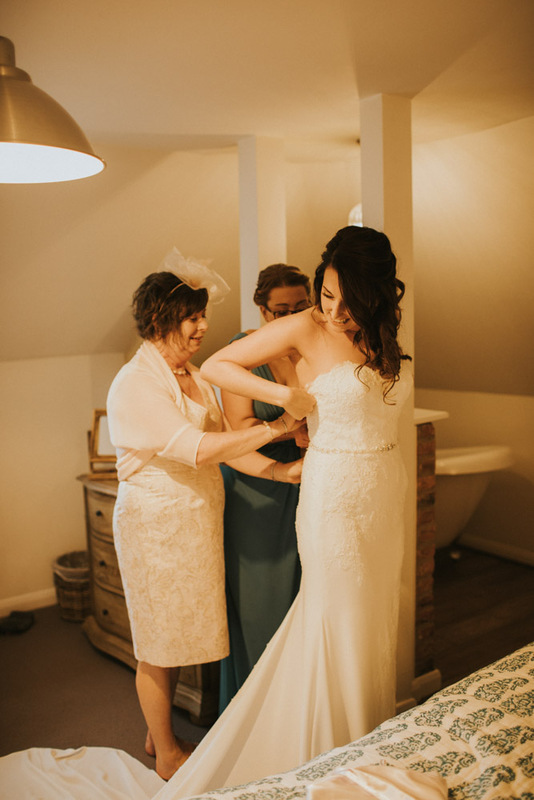 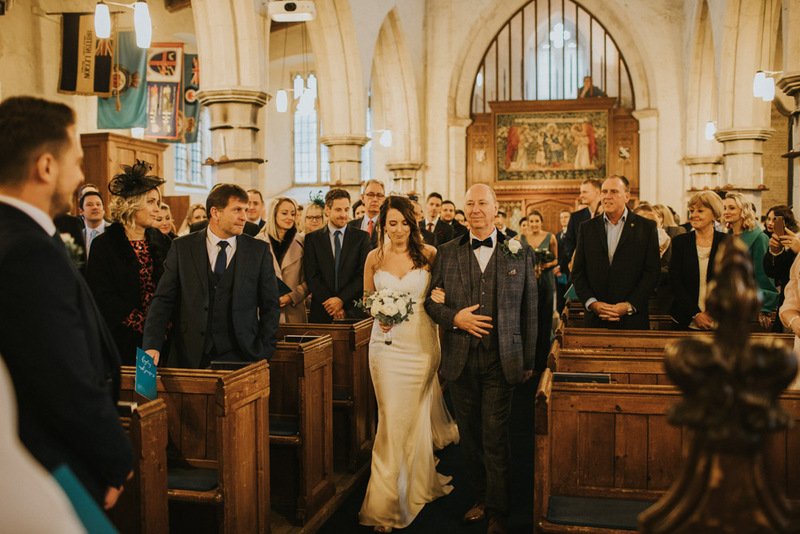 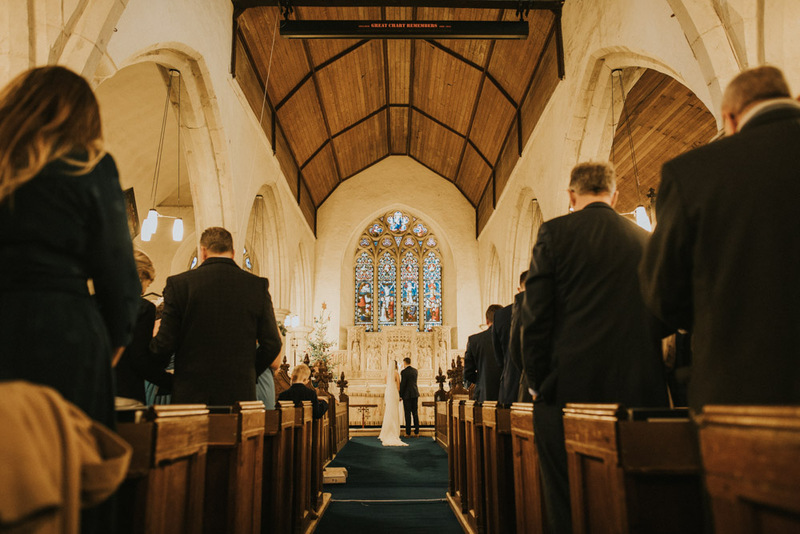 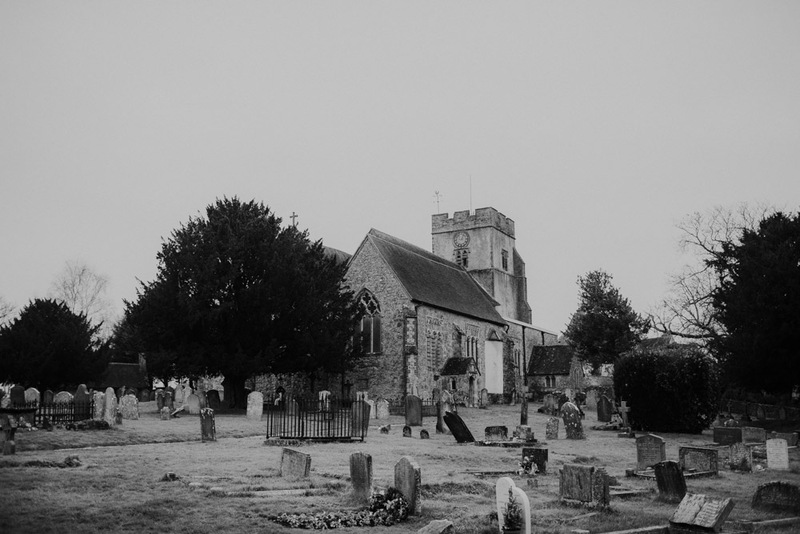 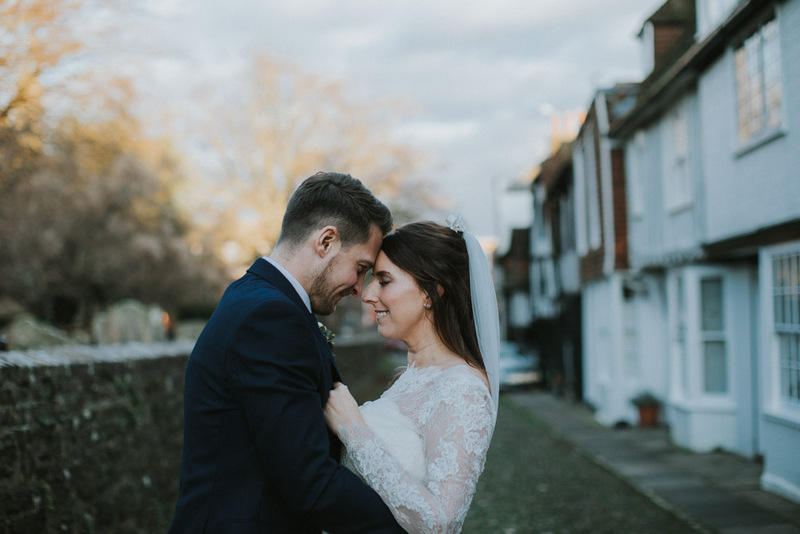 The planning was done, and the venue in a gorgeous historic town in East Sussex was found. 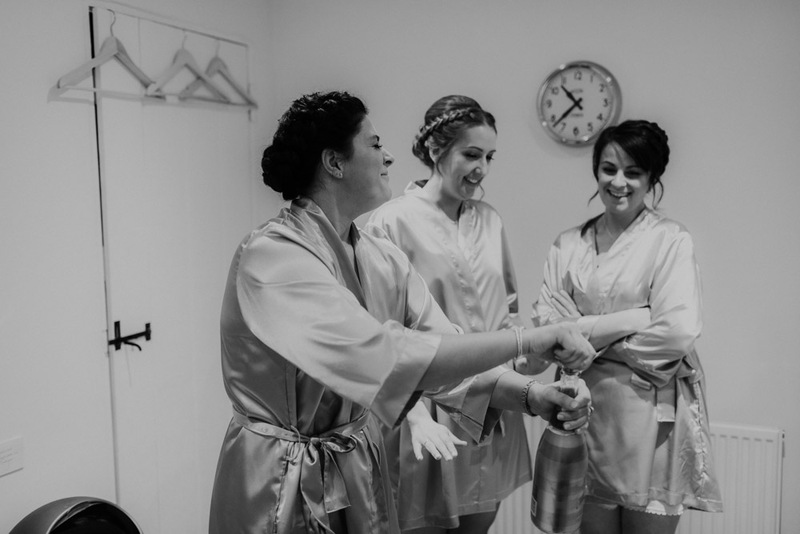 The day was ready to go…. 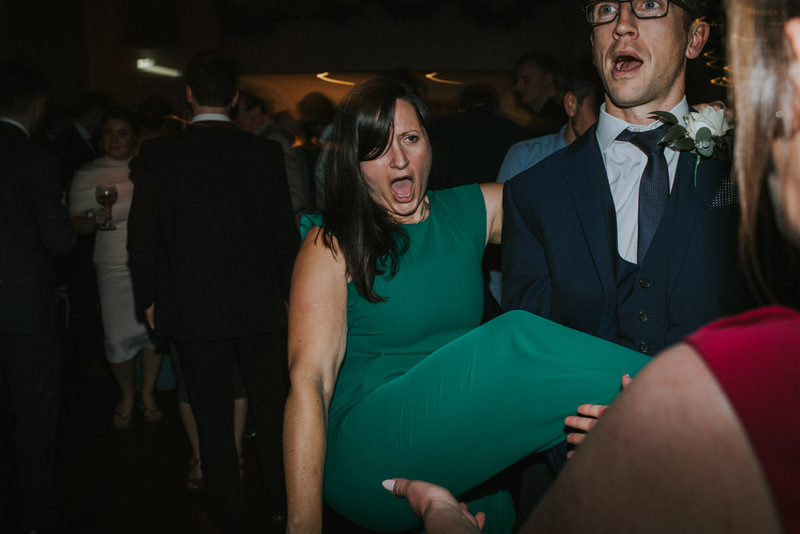 cue crazy (jumping in the air) excitement. 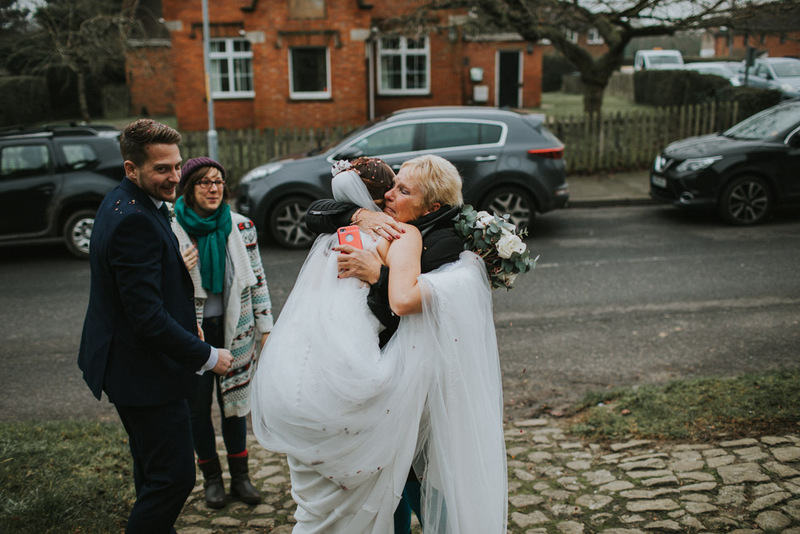 I mean seriously, there are some days you just long to arrive when documenting such special moments. 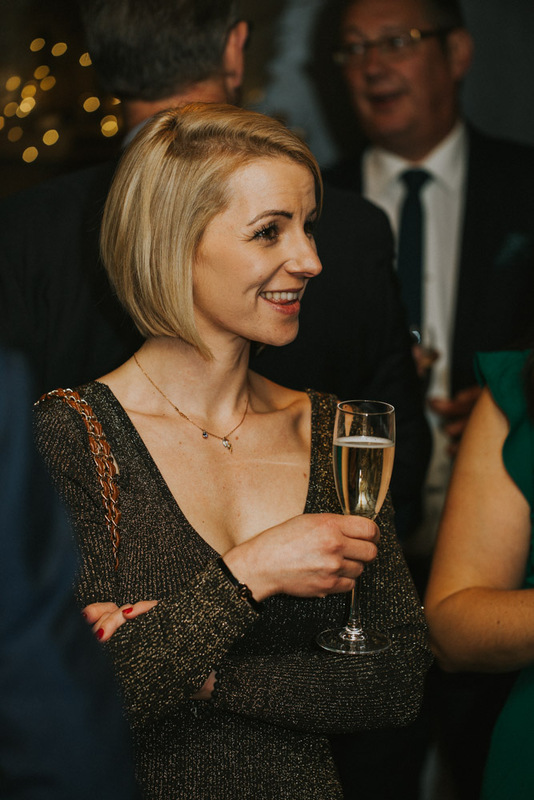 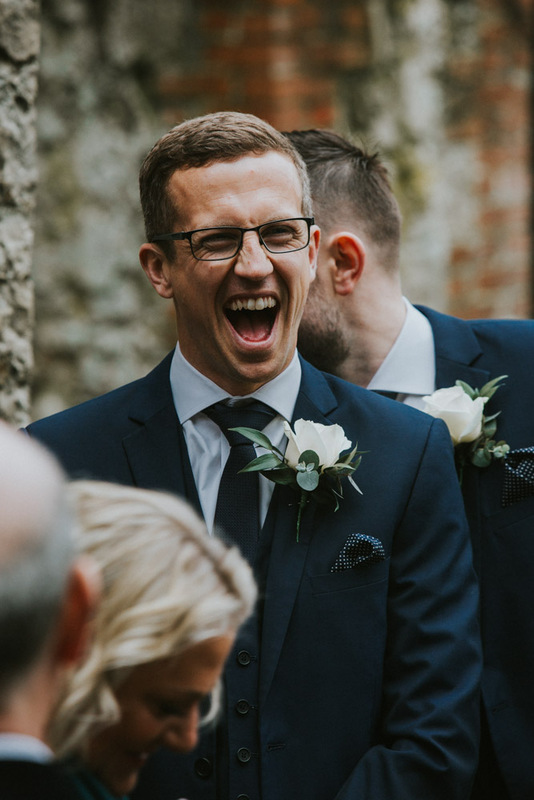 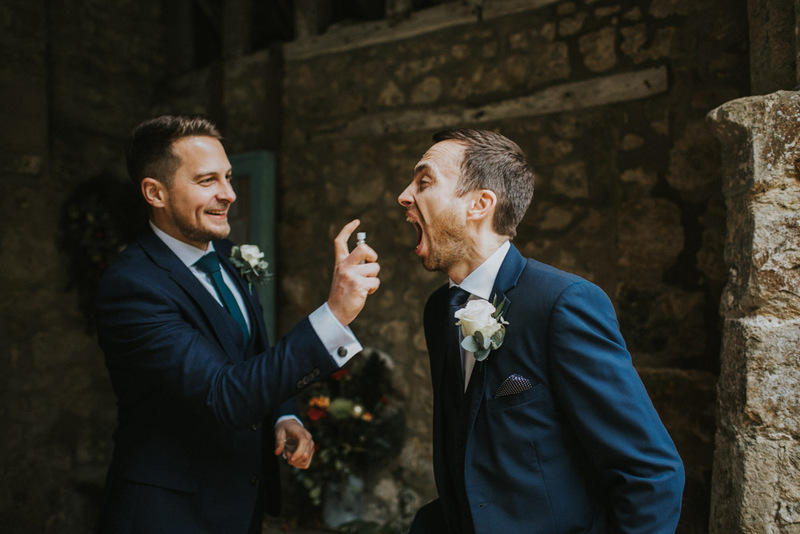 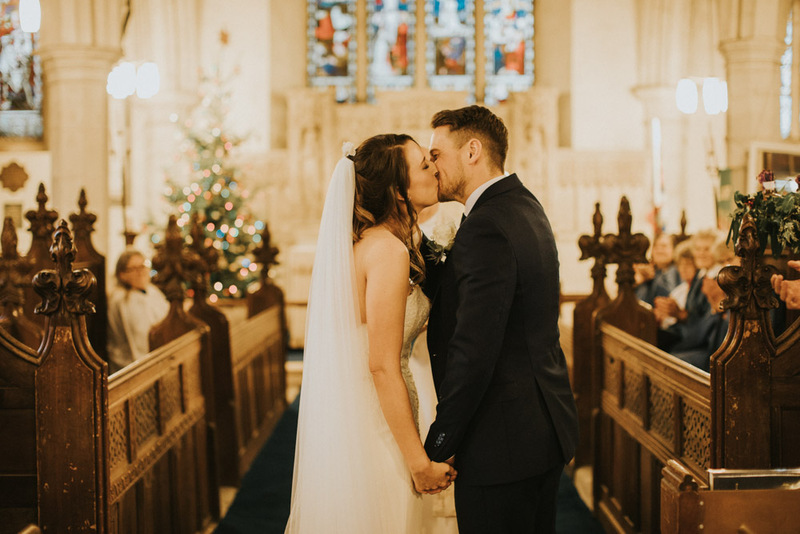 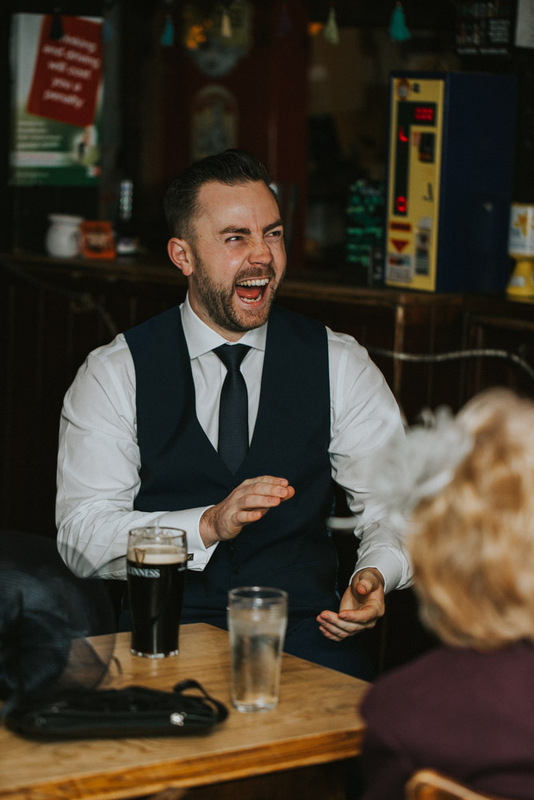 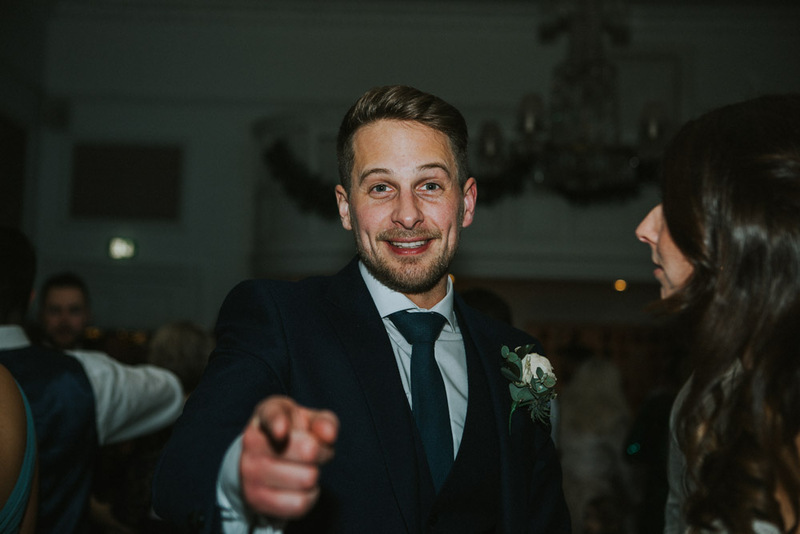 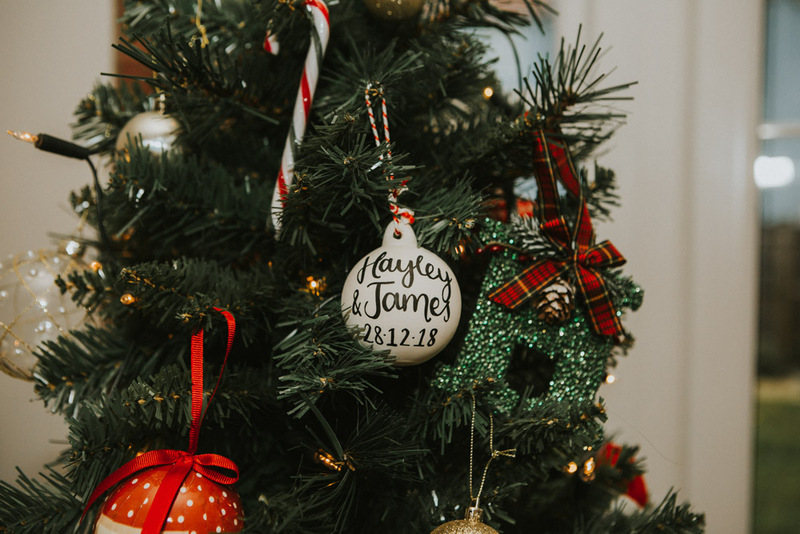 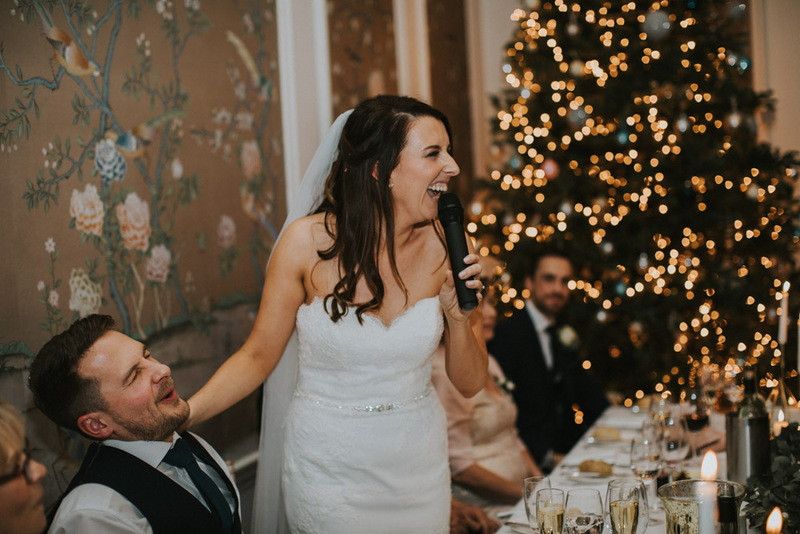 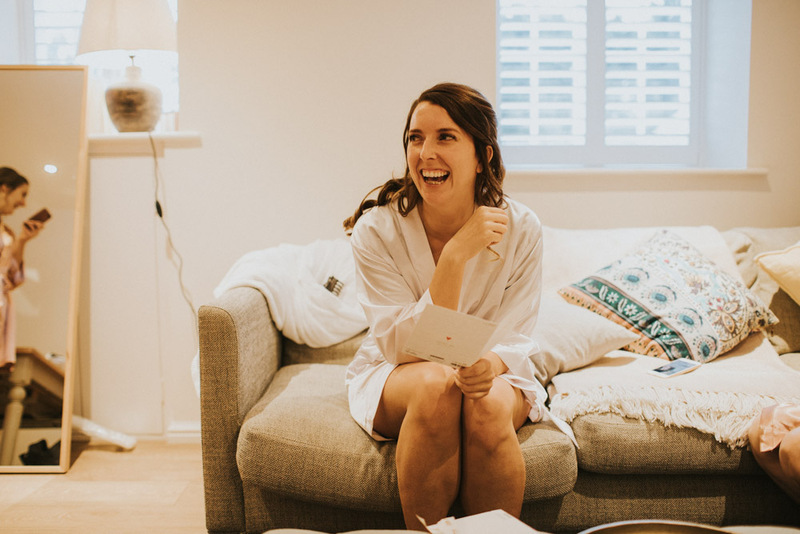 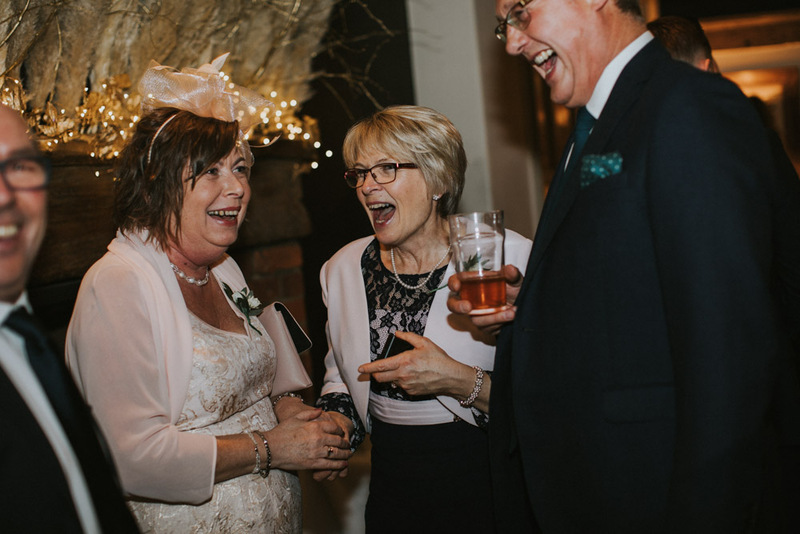 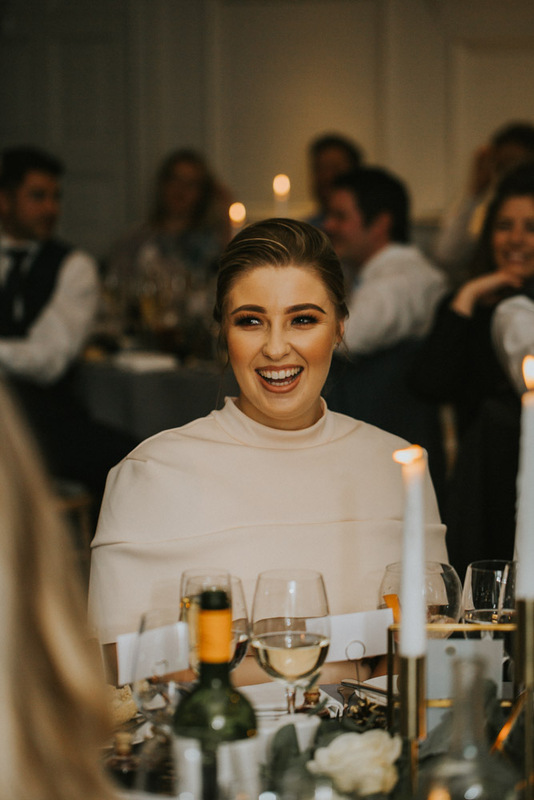 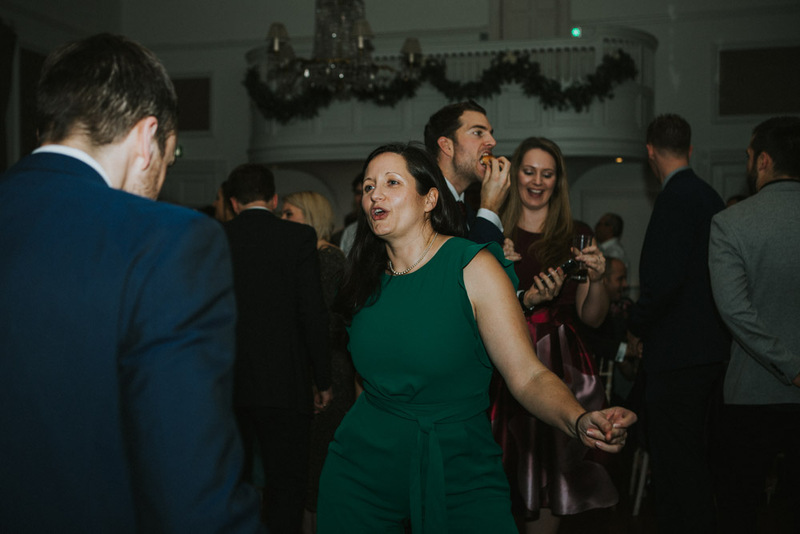 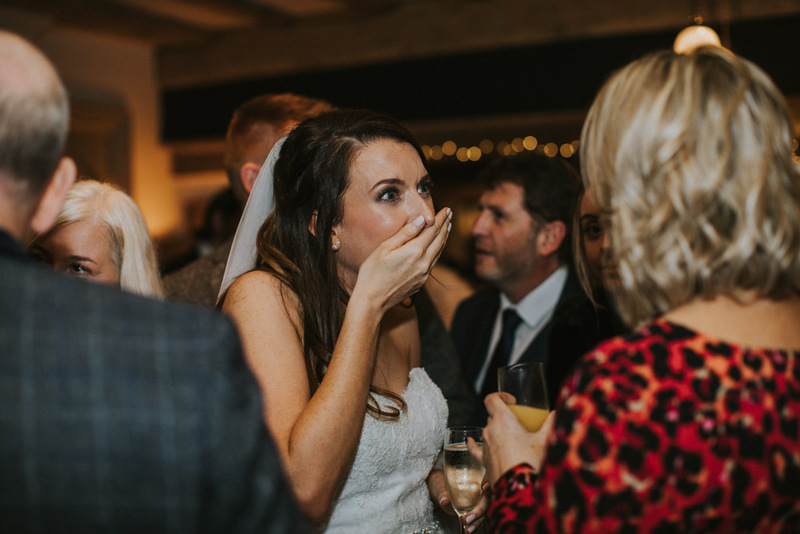 Actually that’s the case with all the weddings I’m lucky enough to shoot, but with Hayley & James’ wedding falling right in-between Christmas and New Year, there was an indescribable vibe of wedding excitement and festive cheer in the air And that, is a pretty epic combo right there! 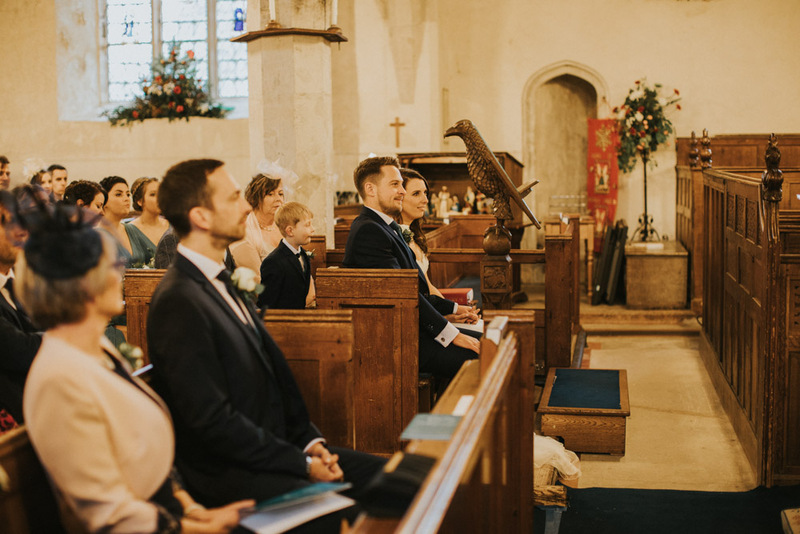 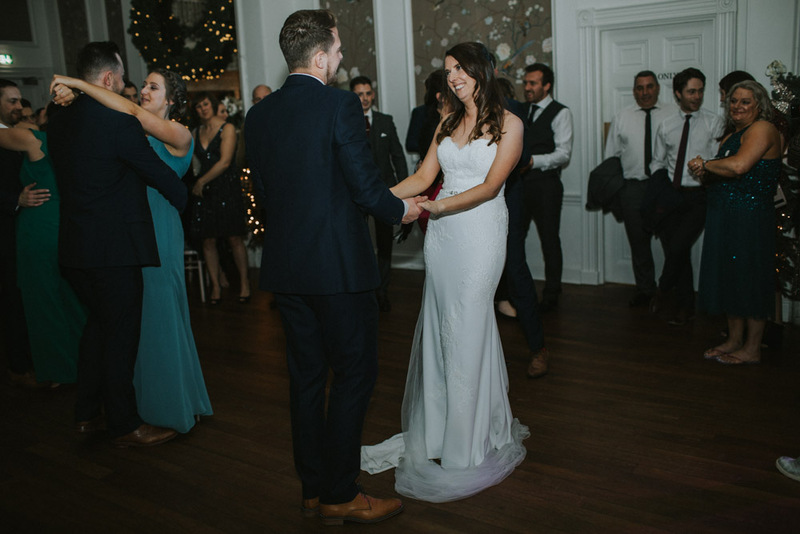 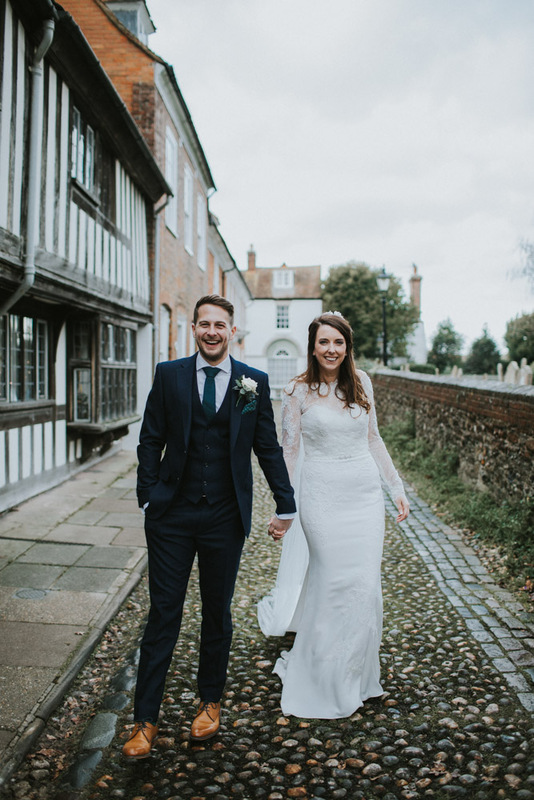 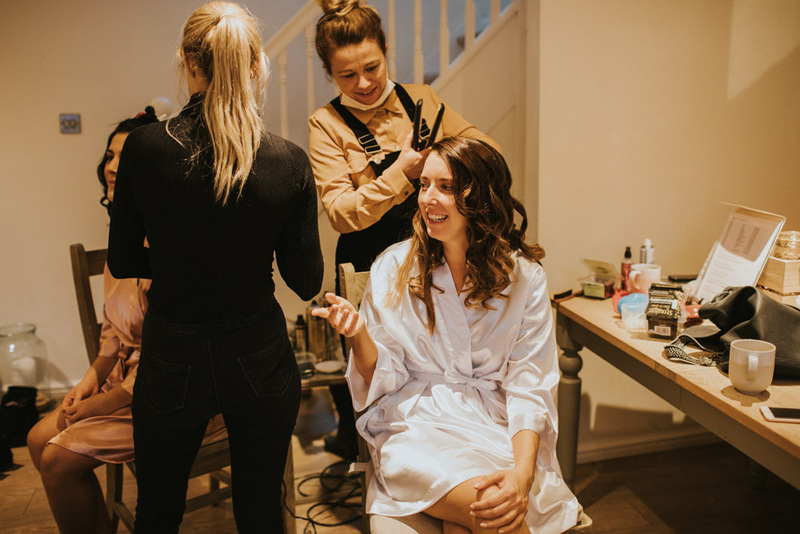 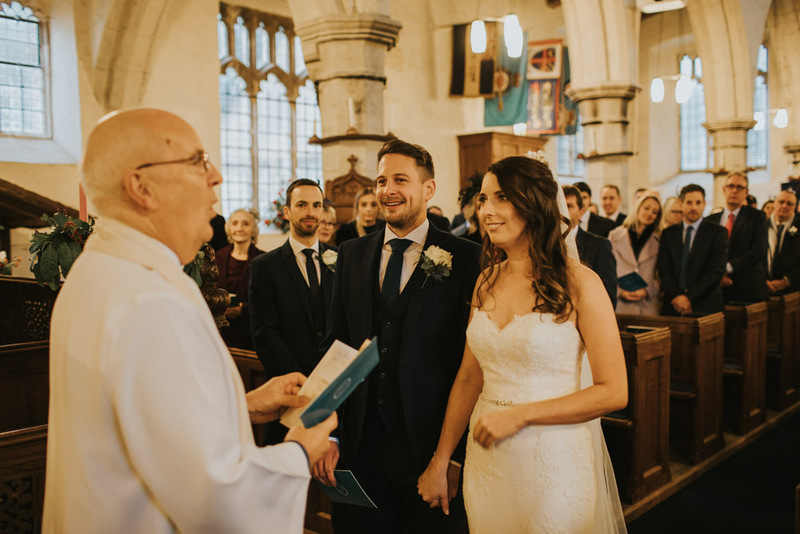 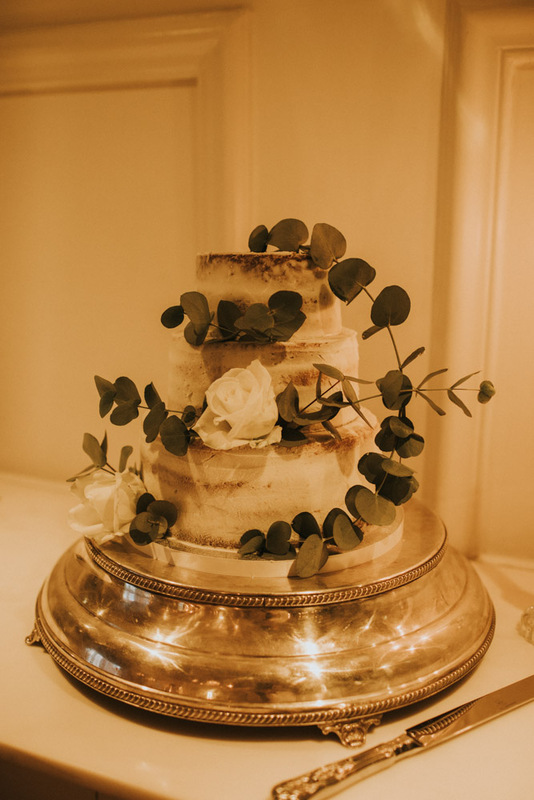 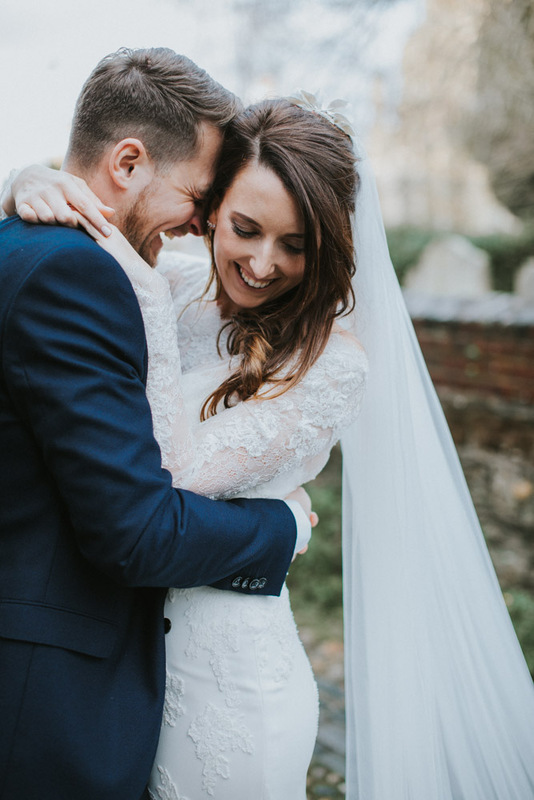 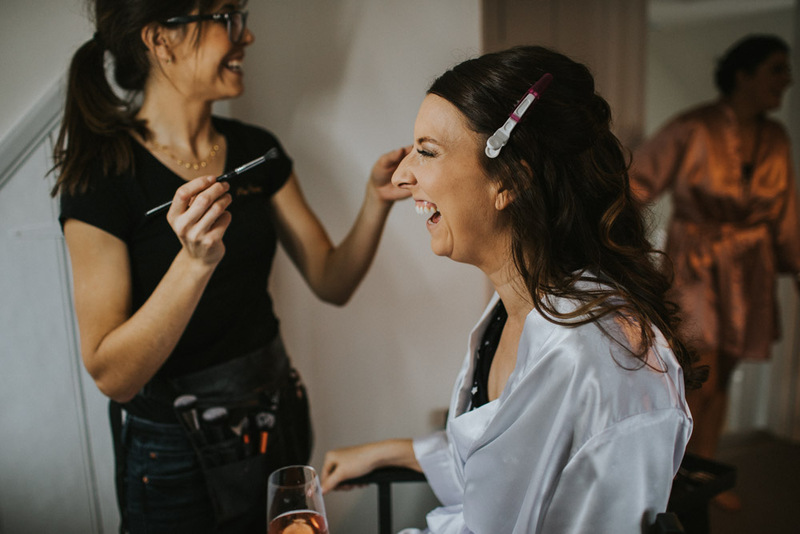 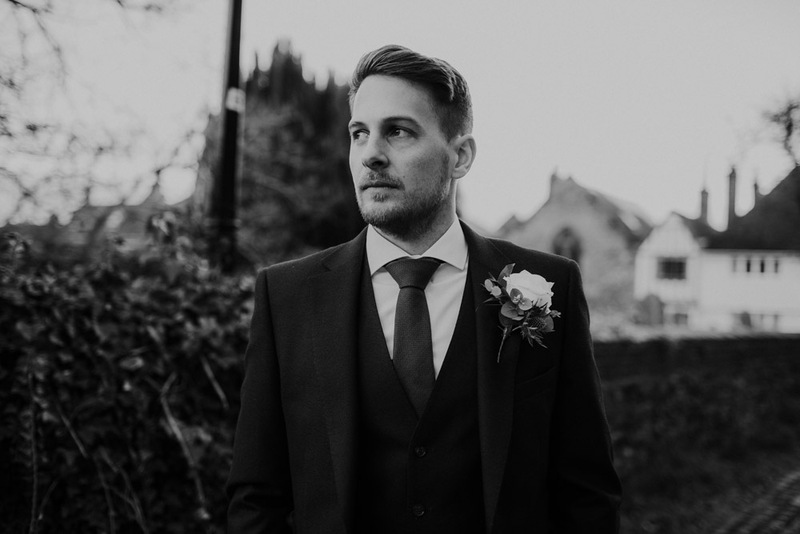 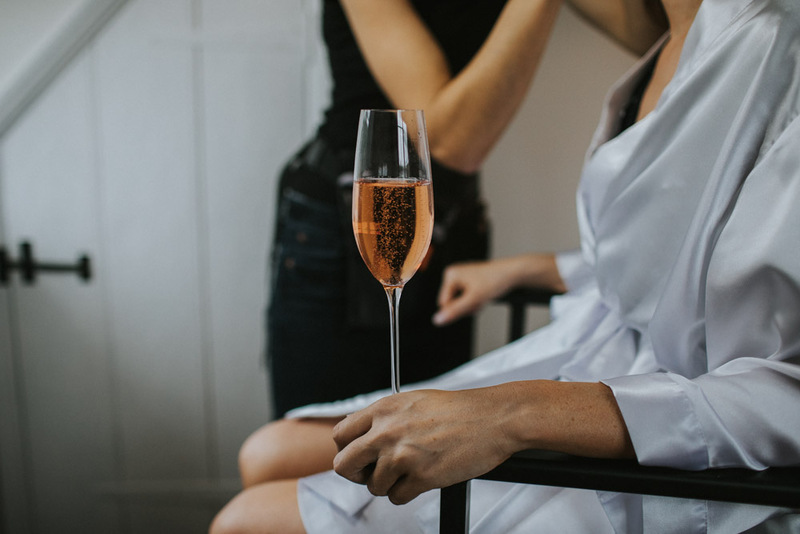 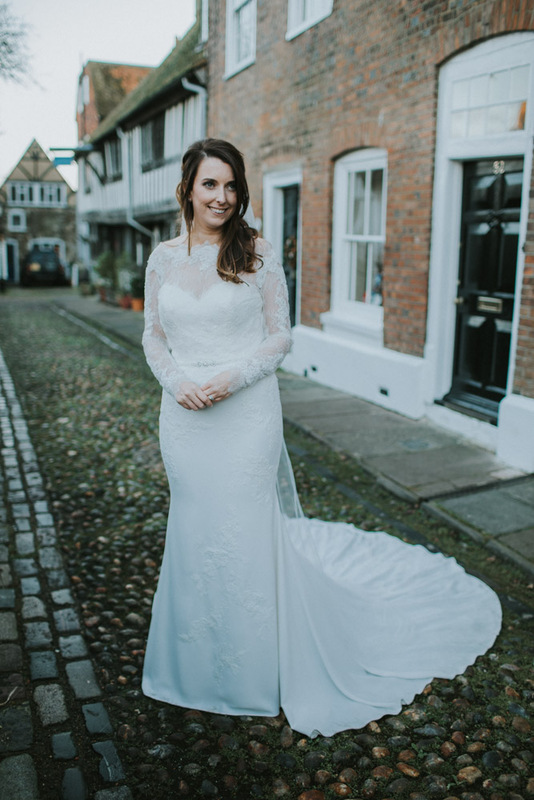 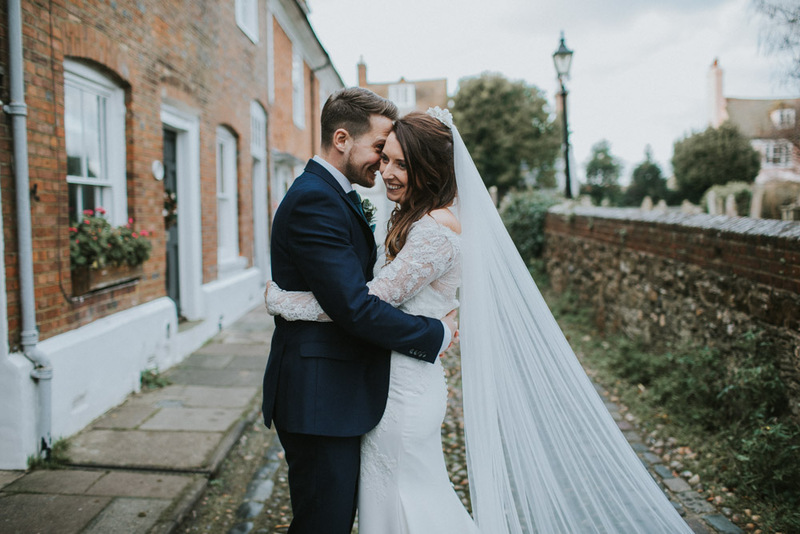 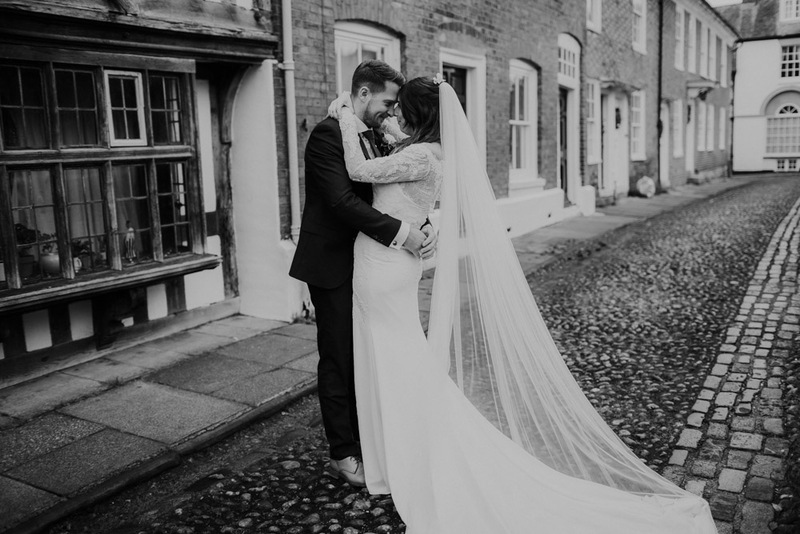 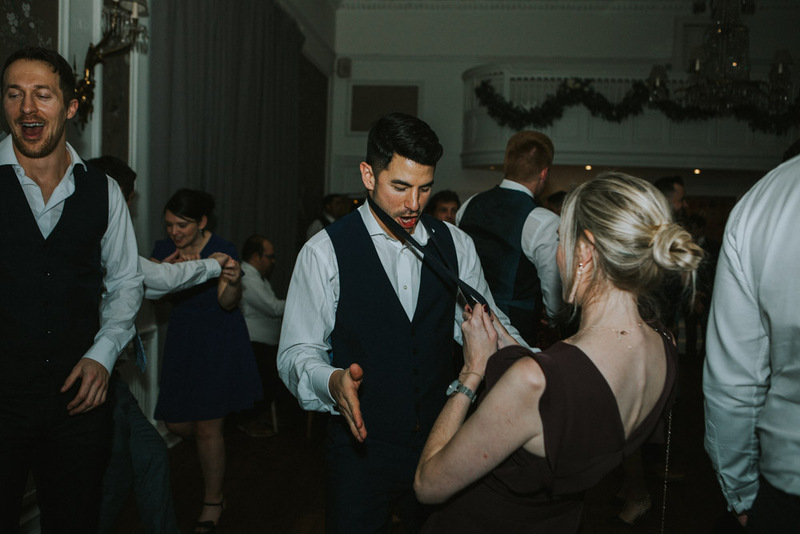 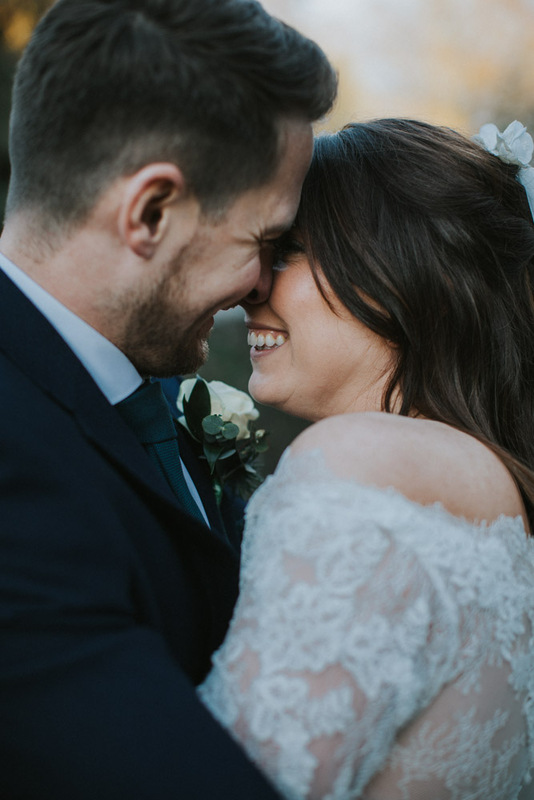 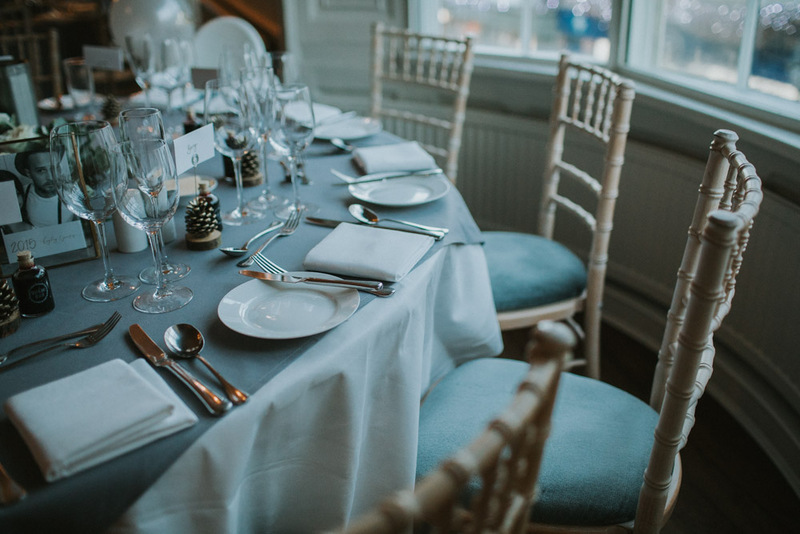 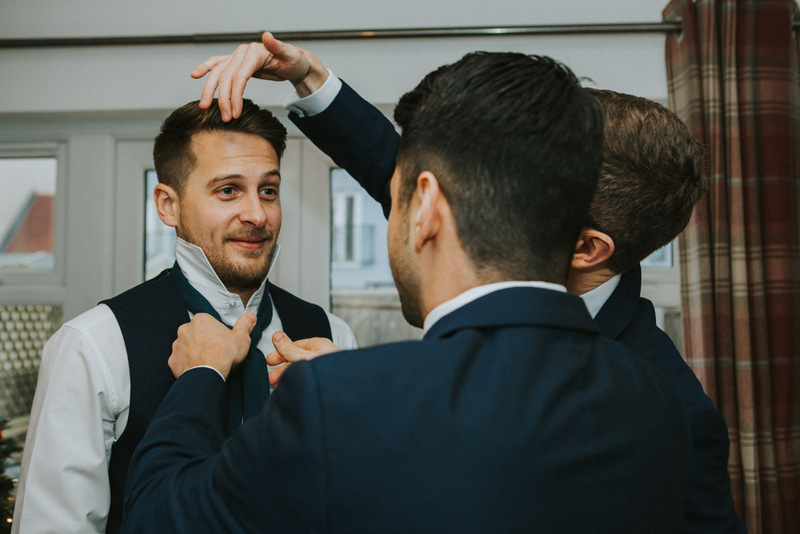 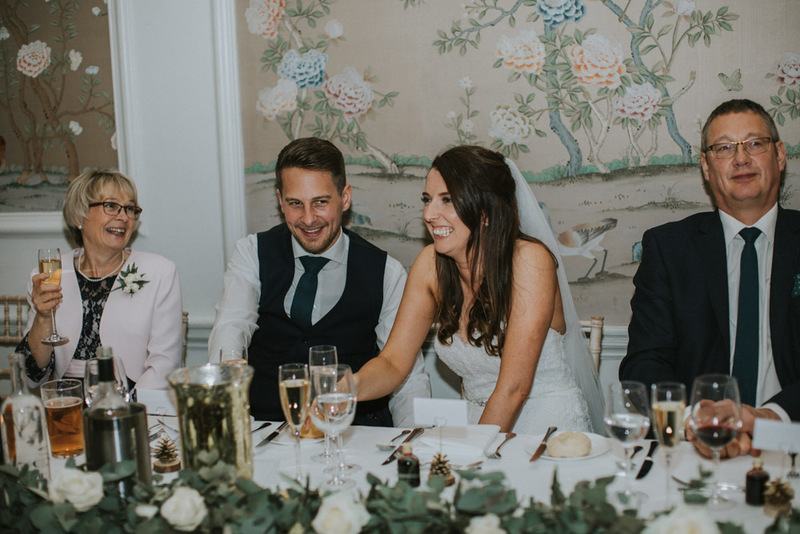 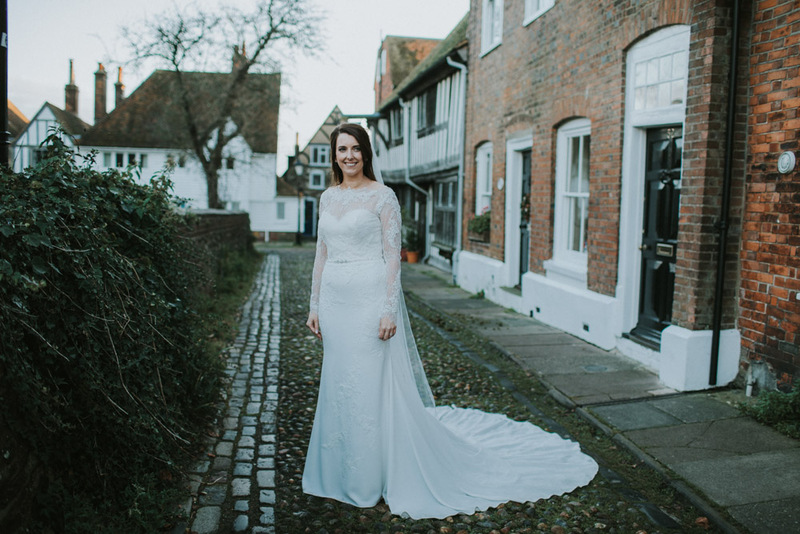 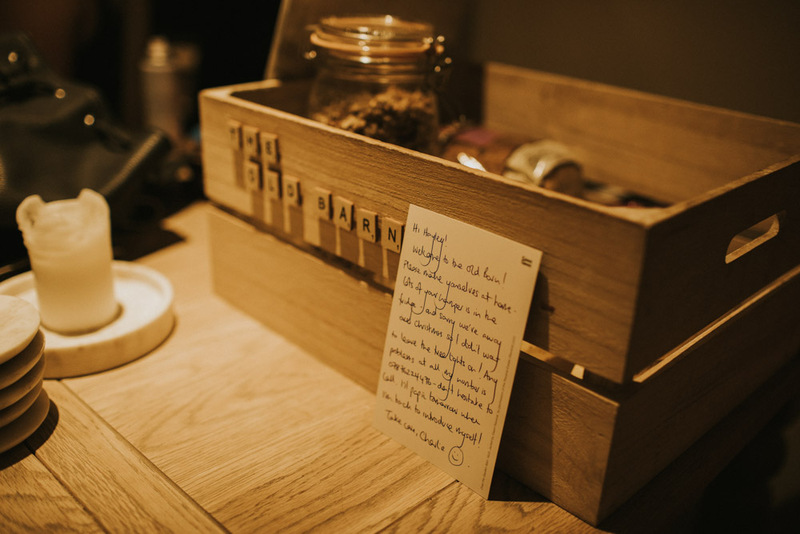 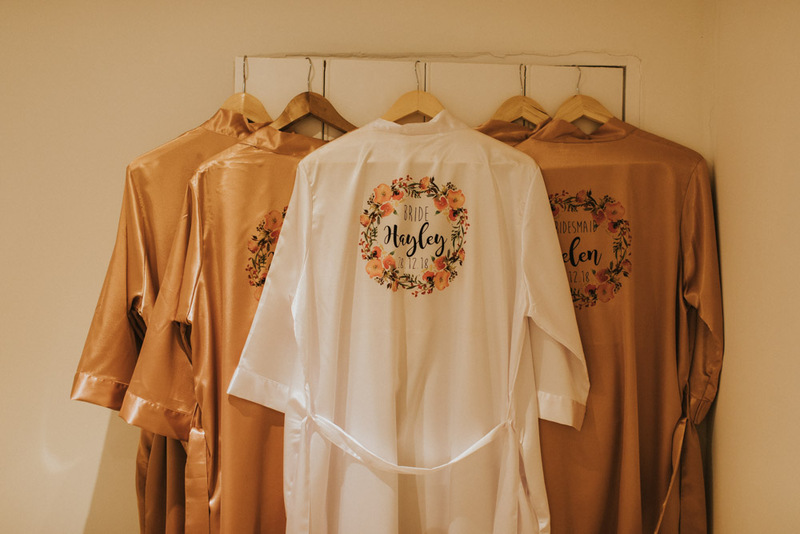 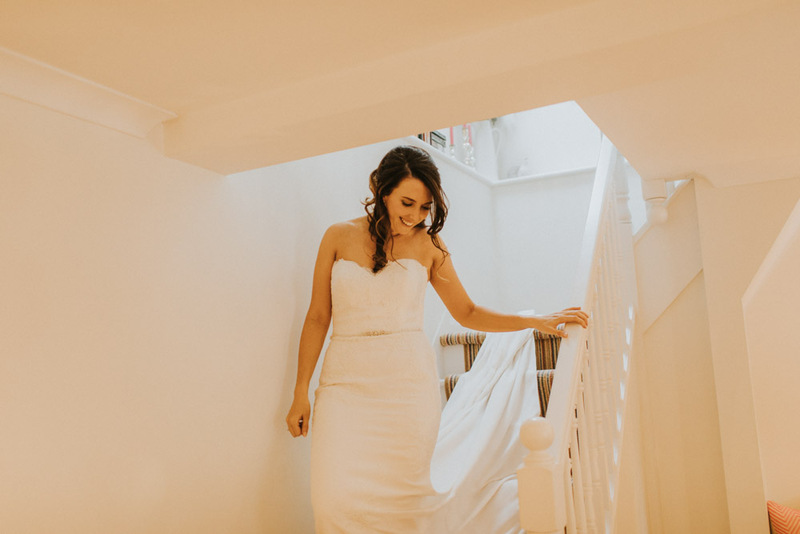 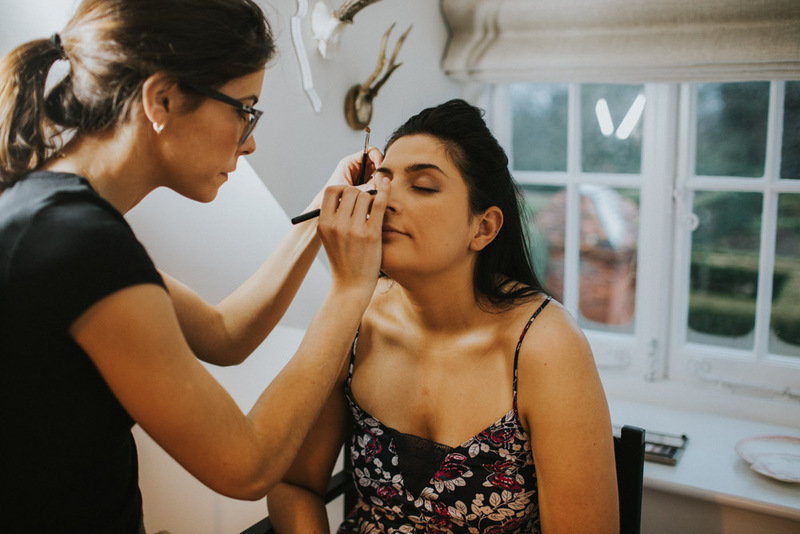 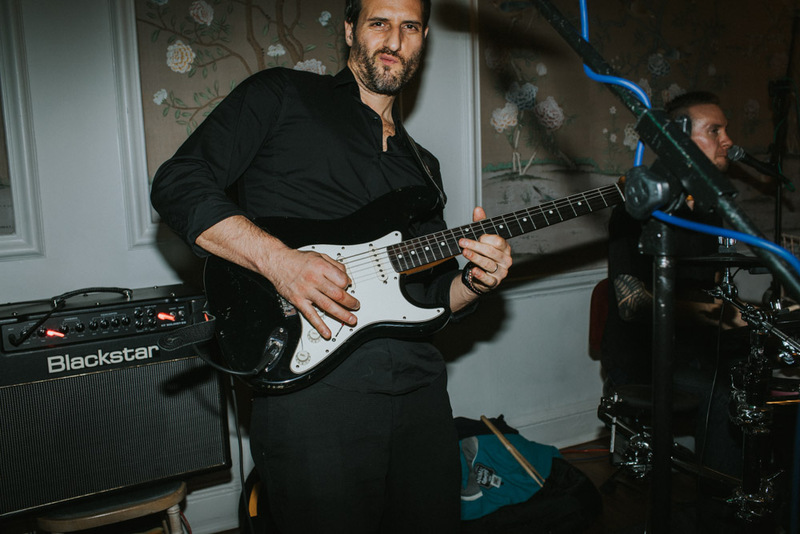 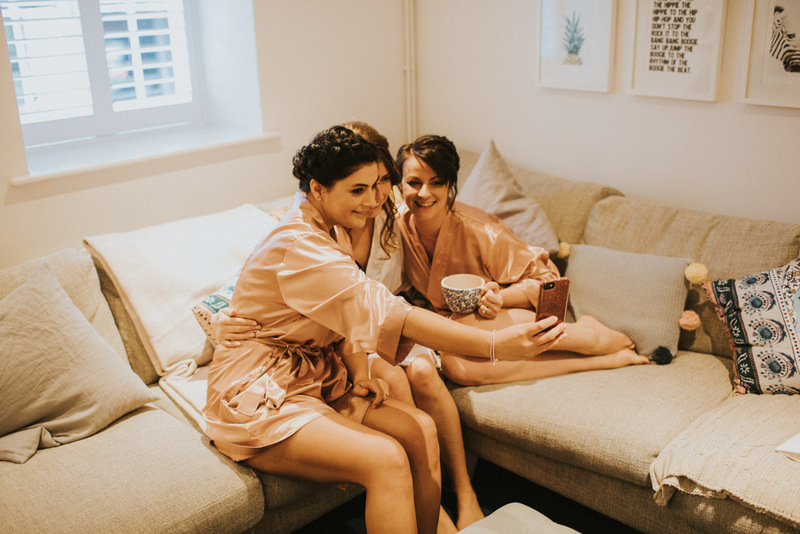 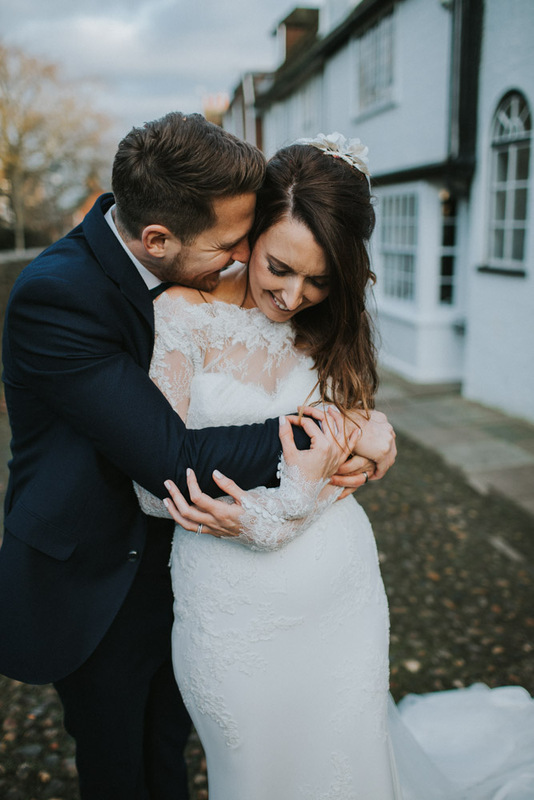 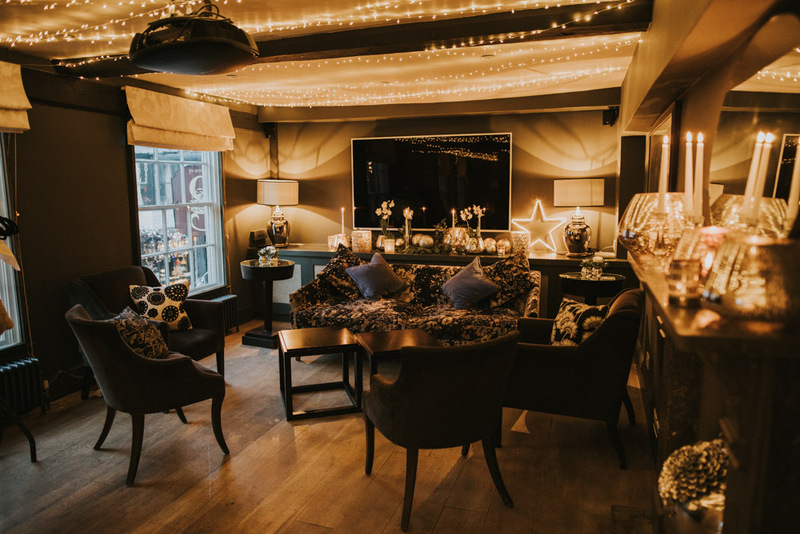 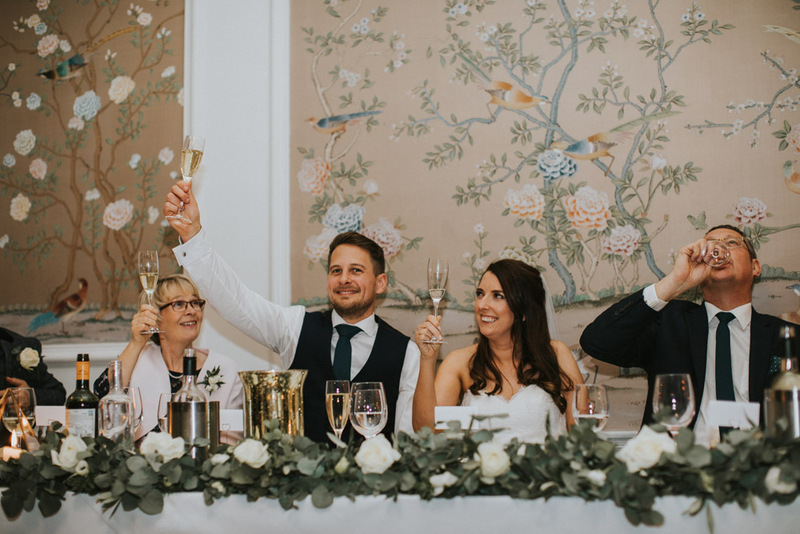 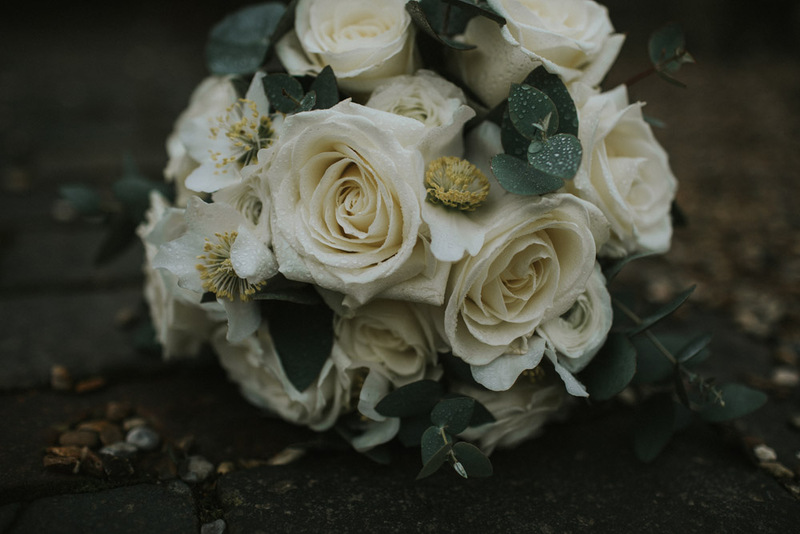 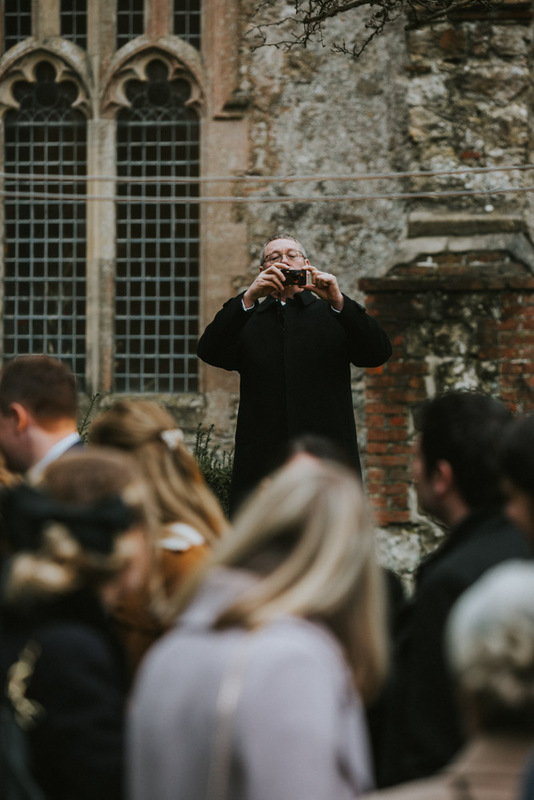 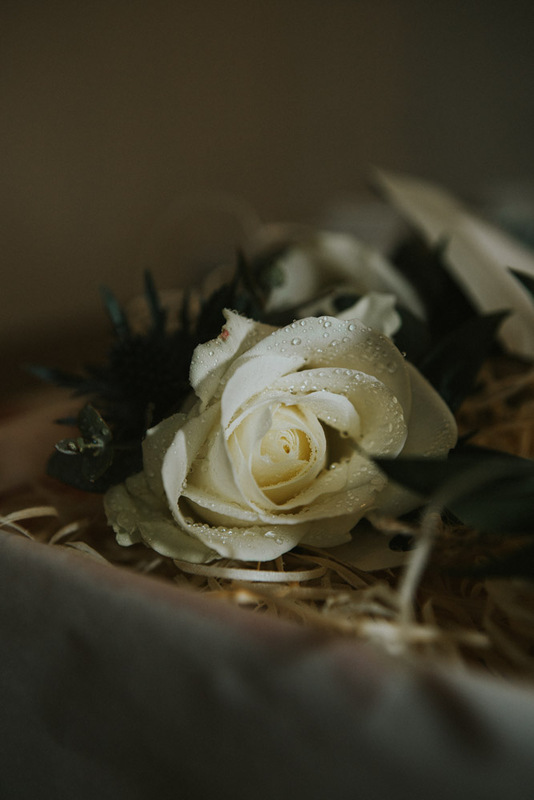 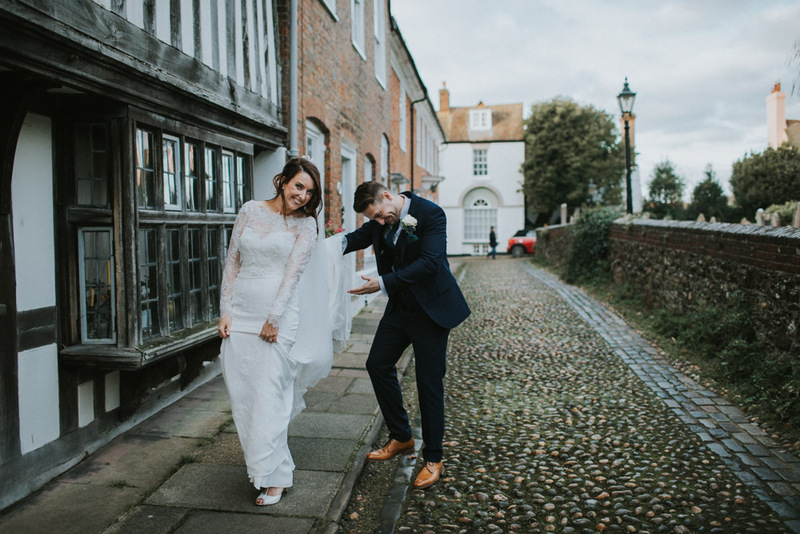 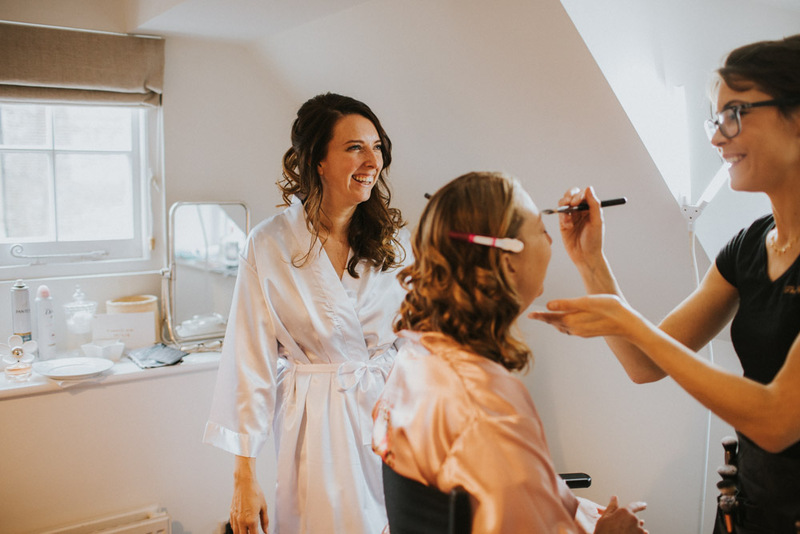 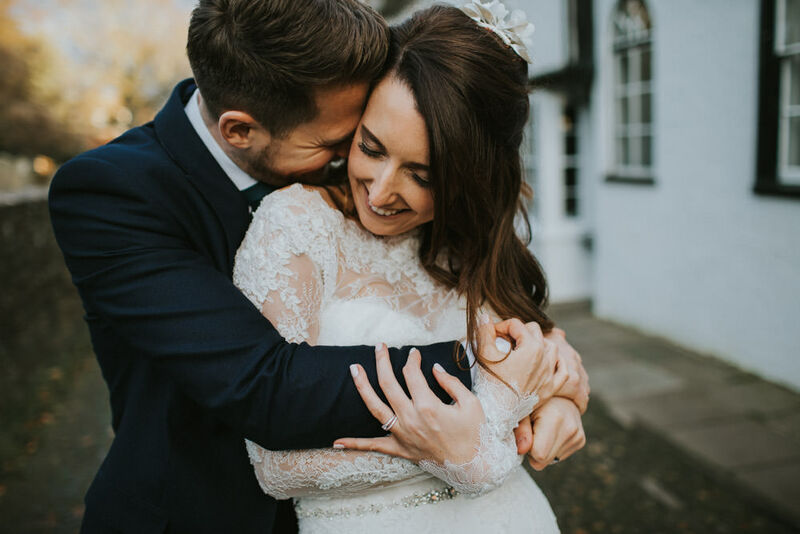 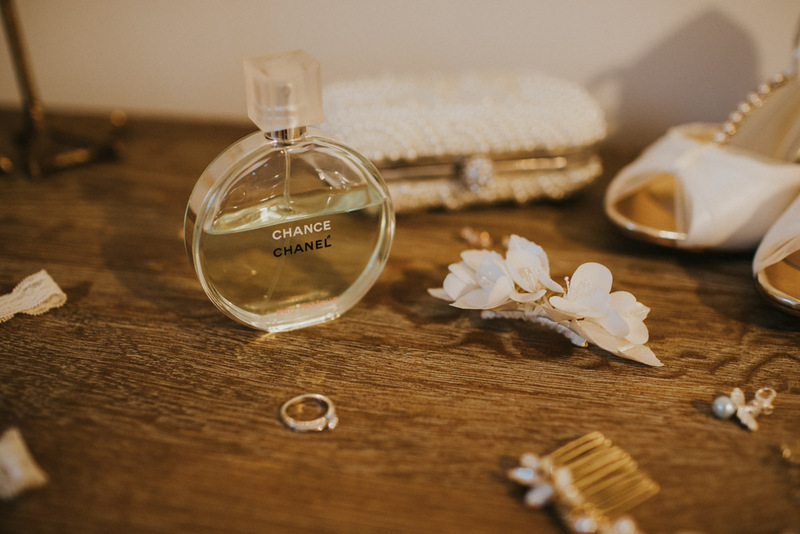 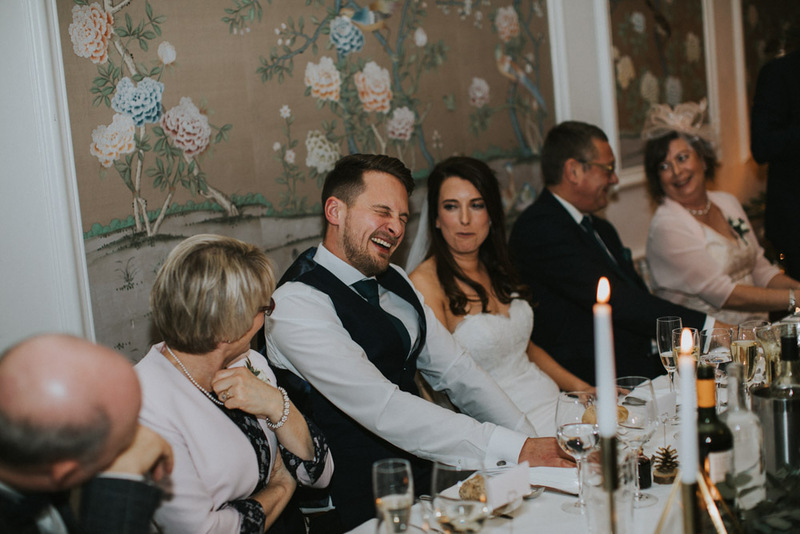 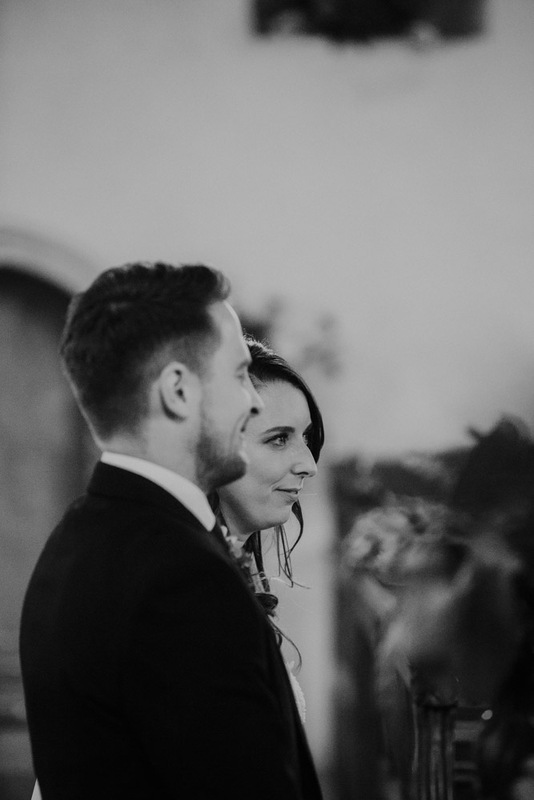 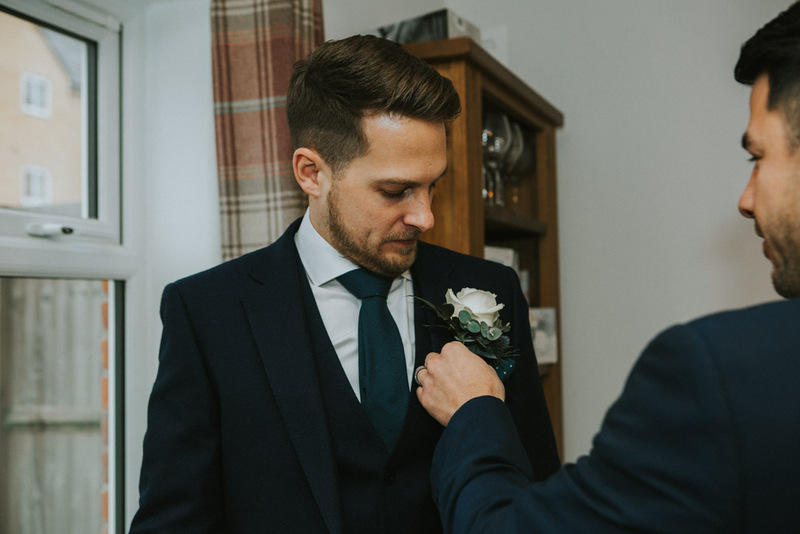 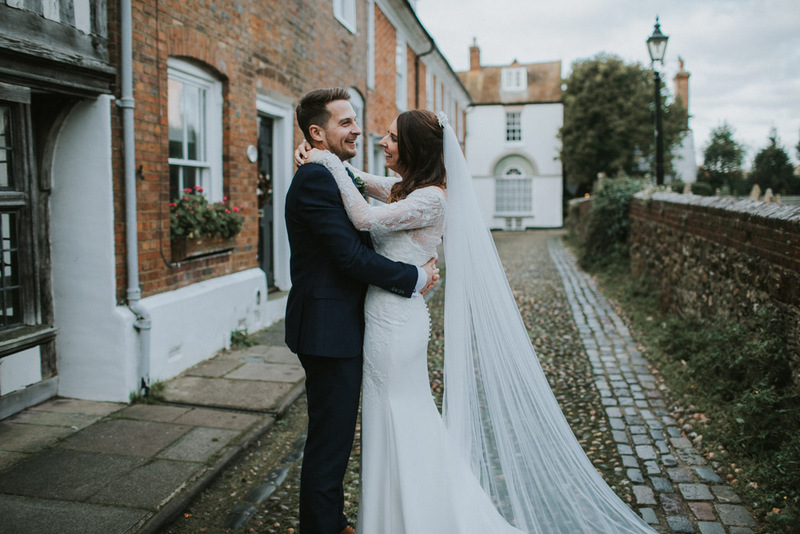 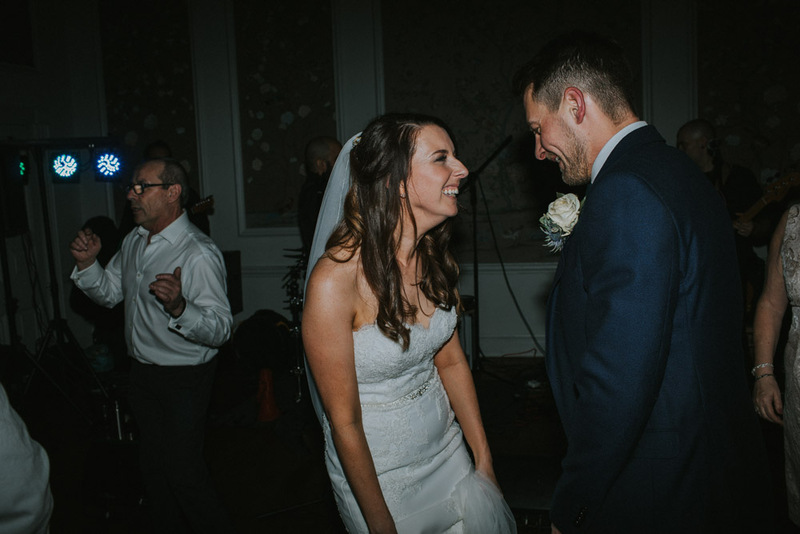 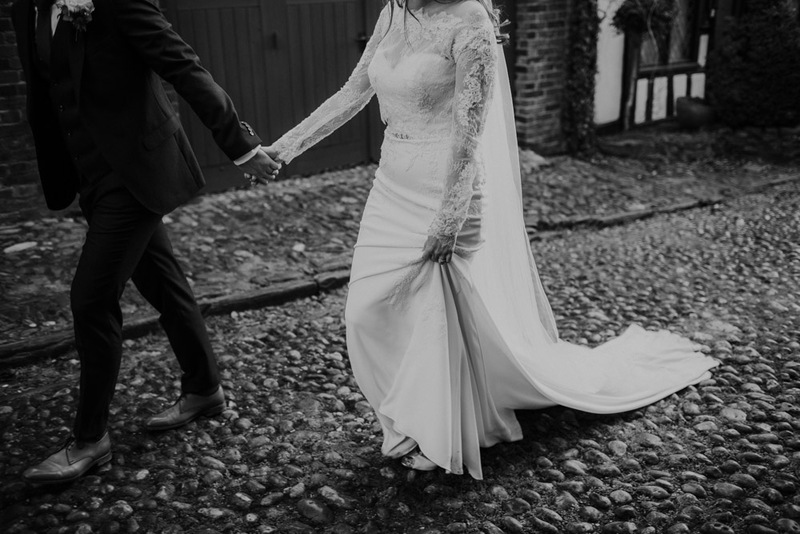 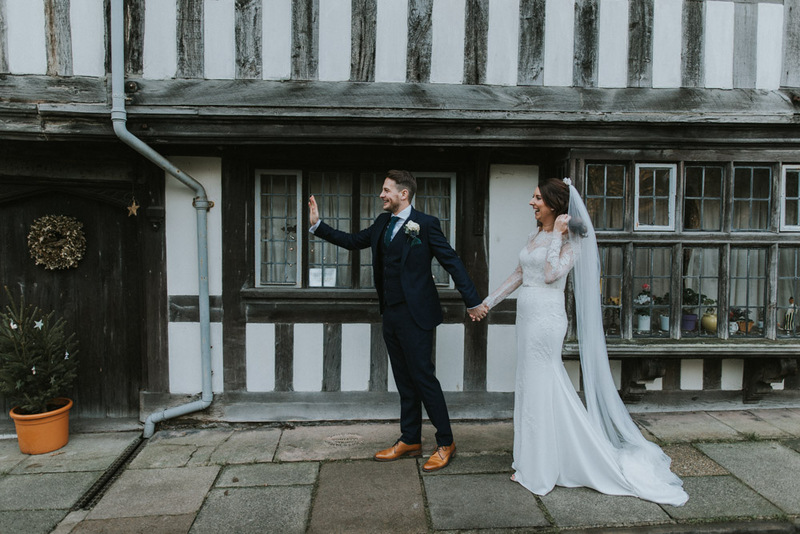 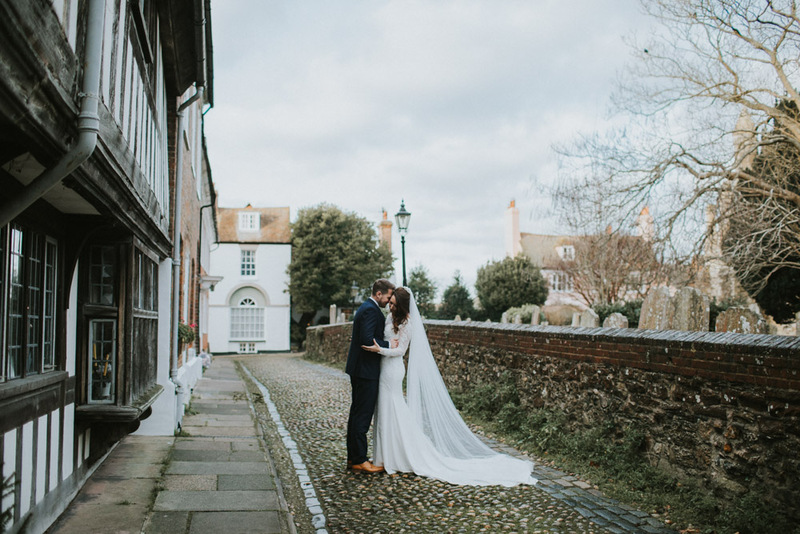 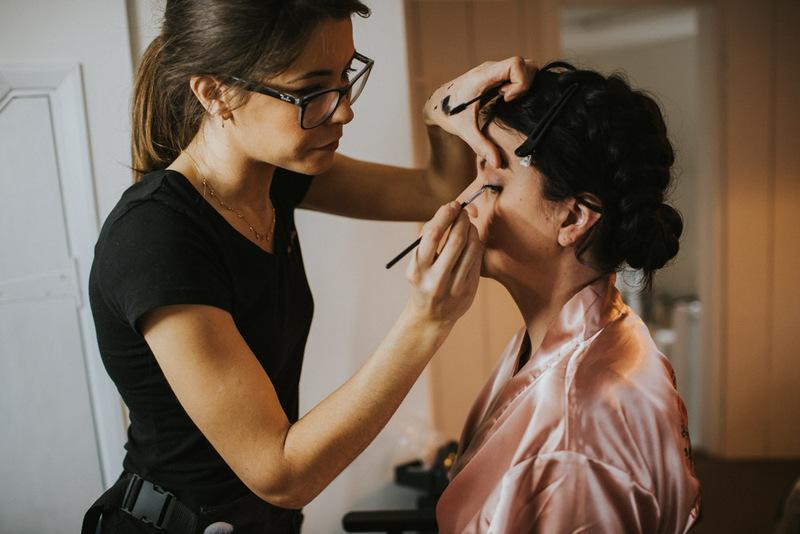 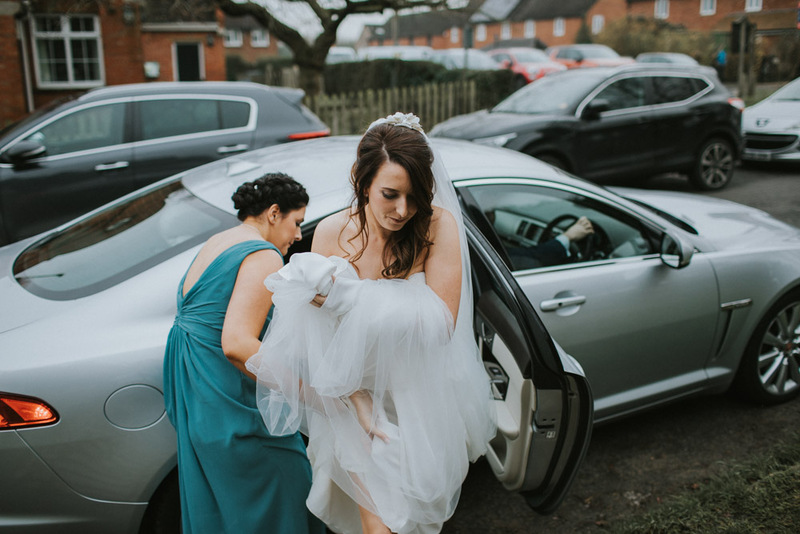 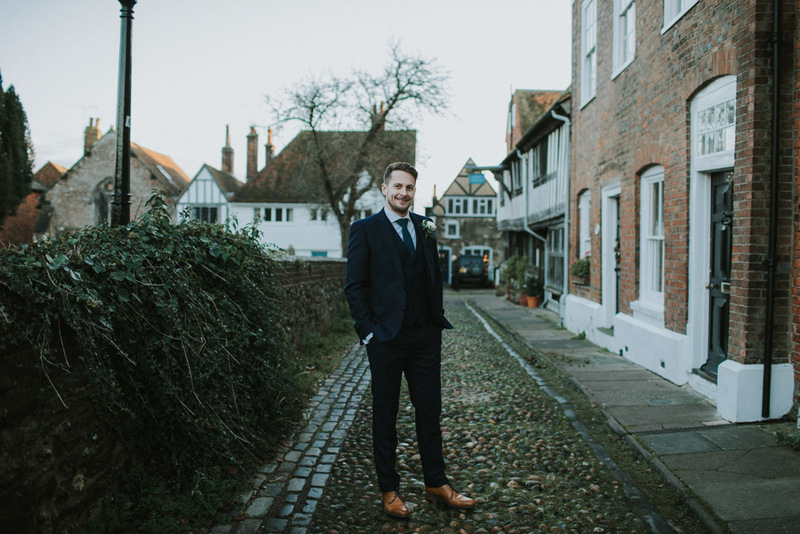 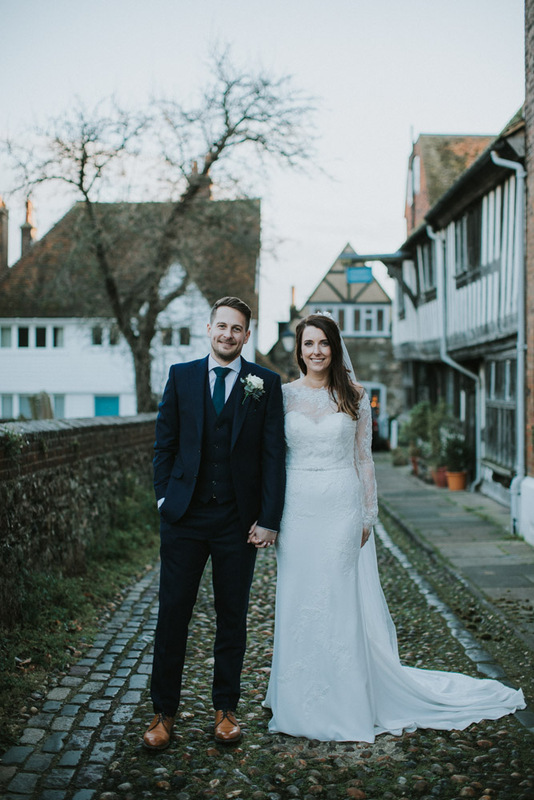 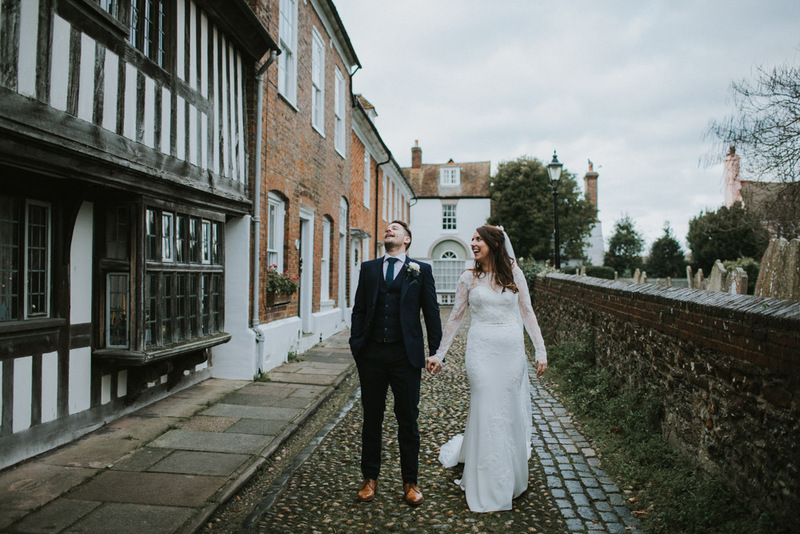 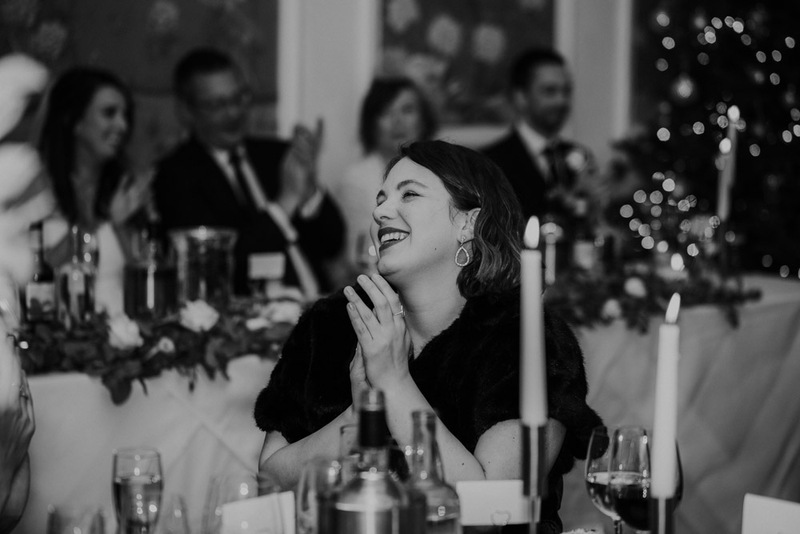 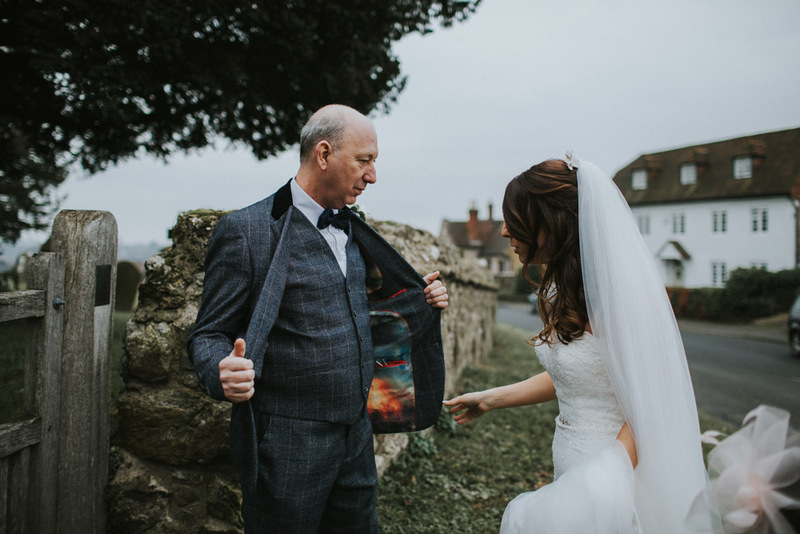 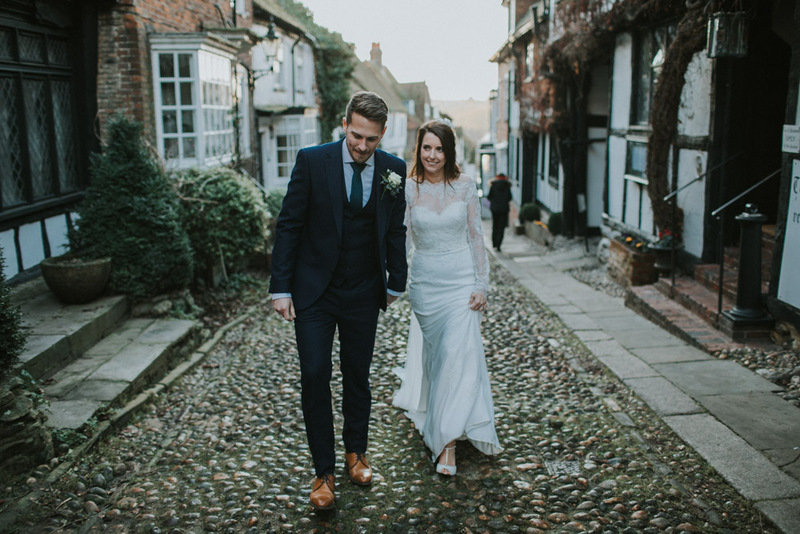 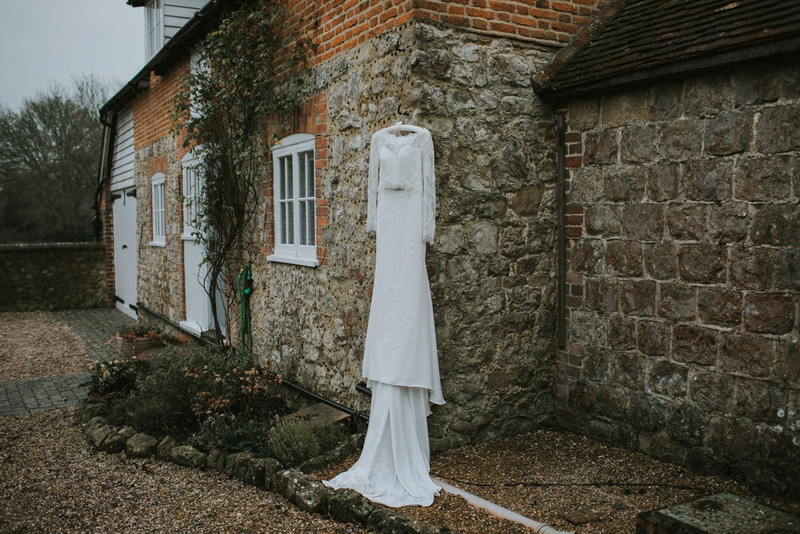 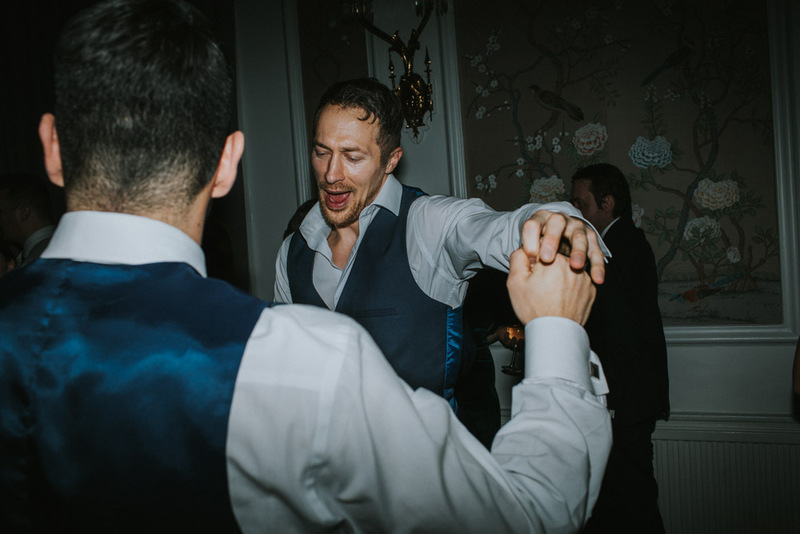 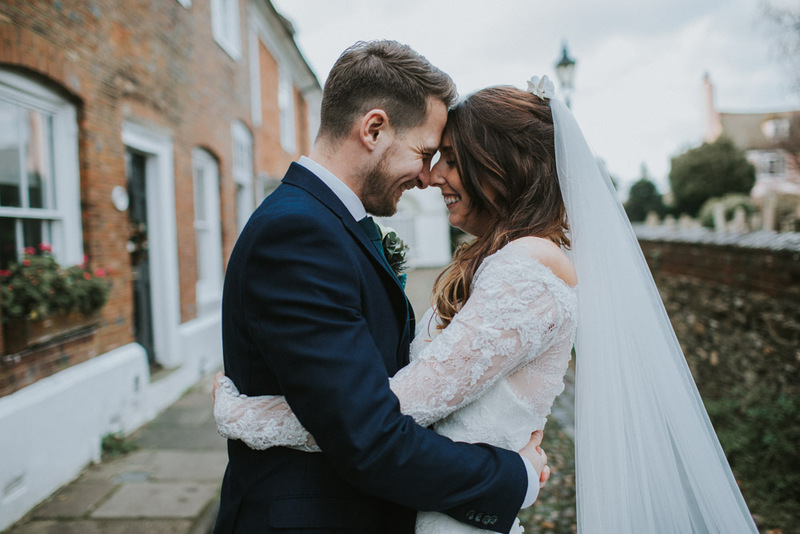 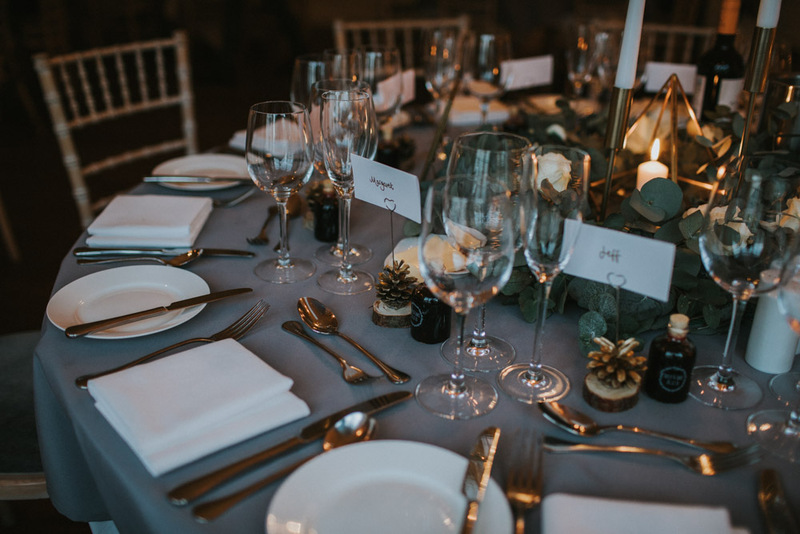 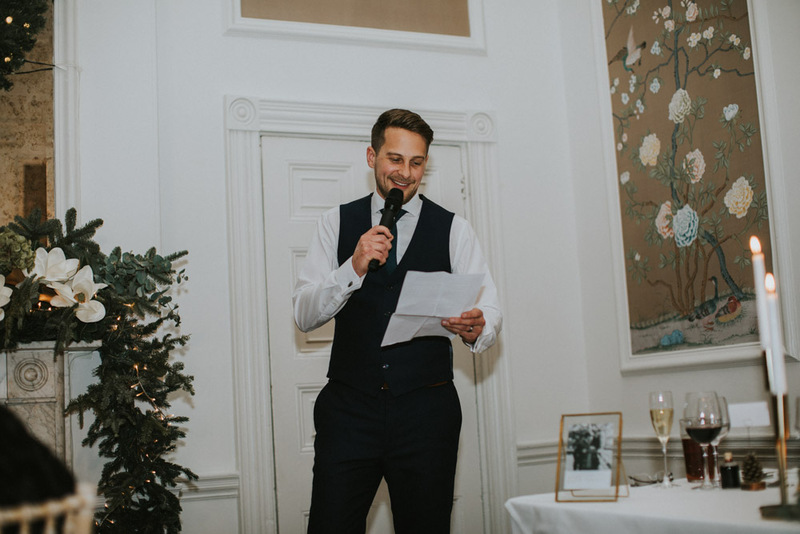 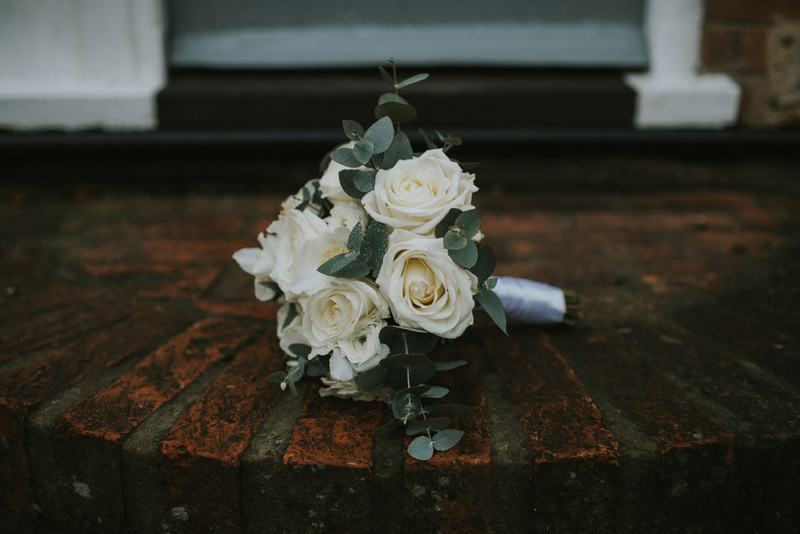 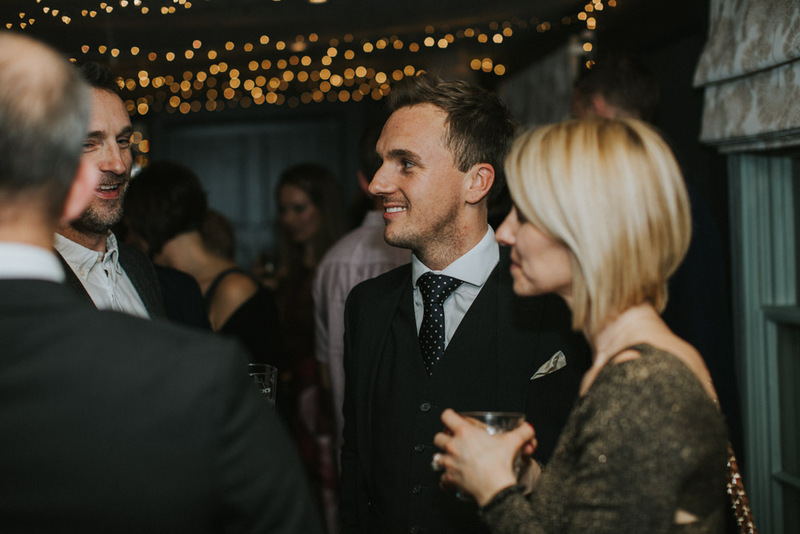 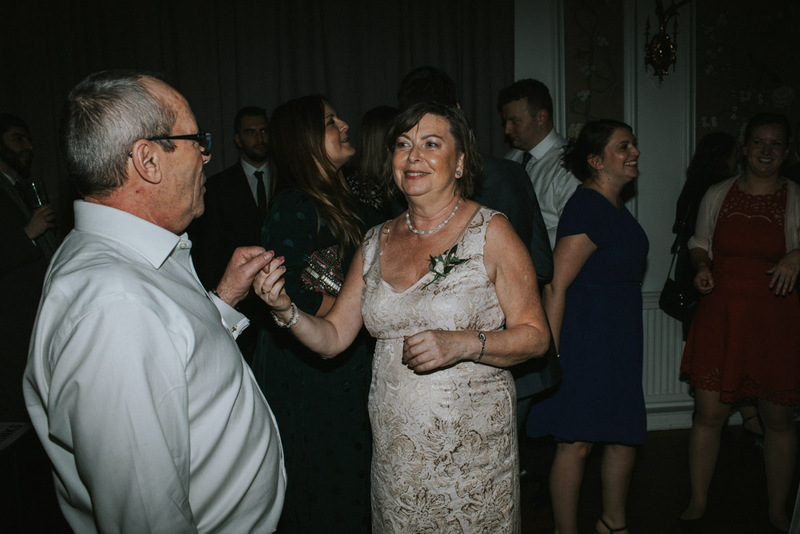 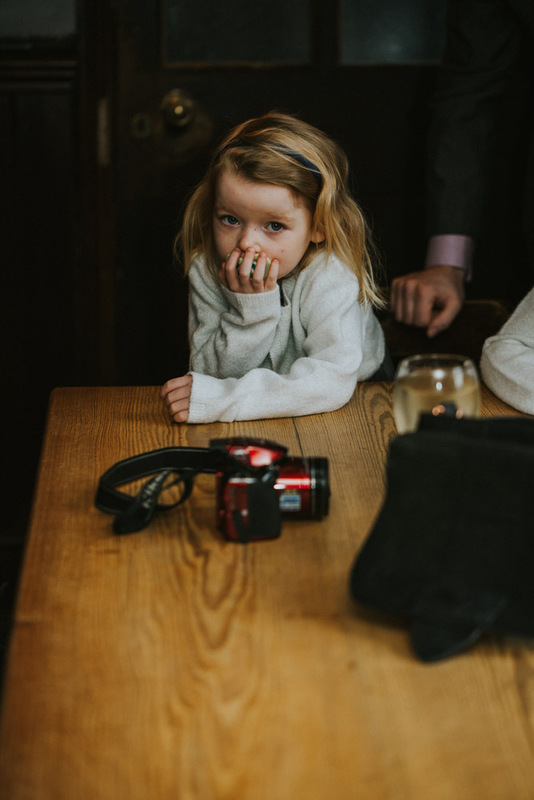 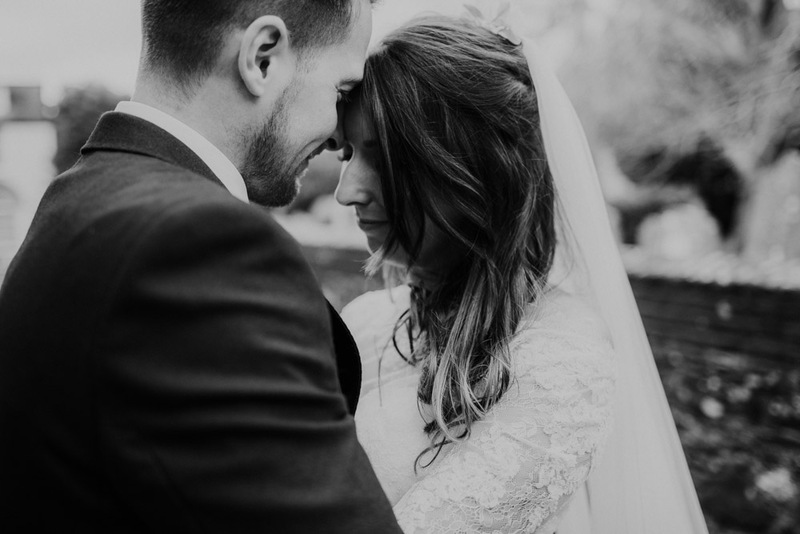 As mentioned a little earlier, the search for the perfect venue was certainly an epic one, but The George, in the beautifully quaint coastal town of Rye in East Sussex literally ticked off everything on their list; Filled with character, yep. 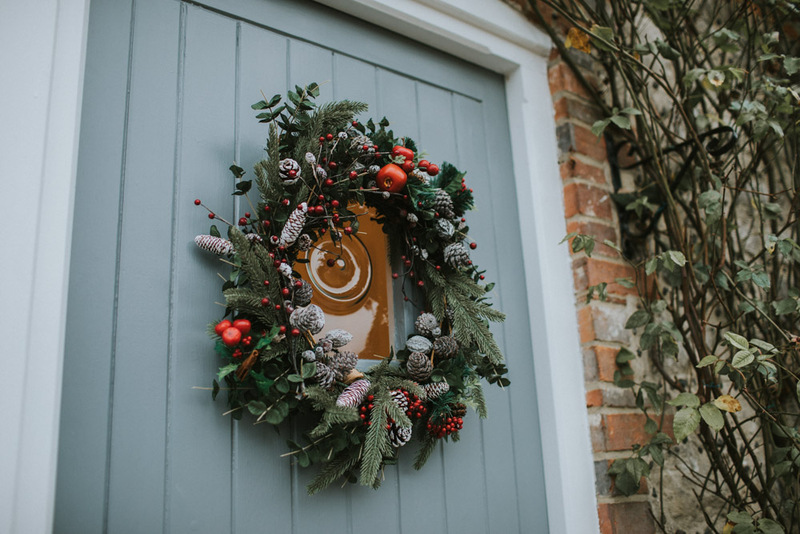 Full of festive cheer, yep. 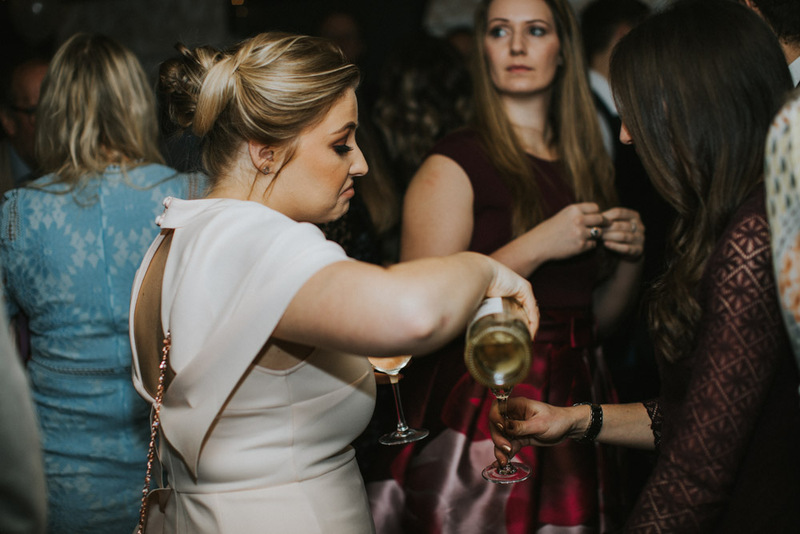 Ready to host one epic party, you better believe it. 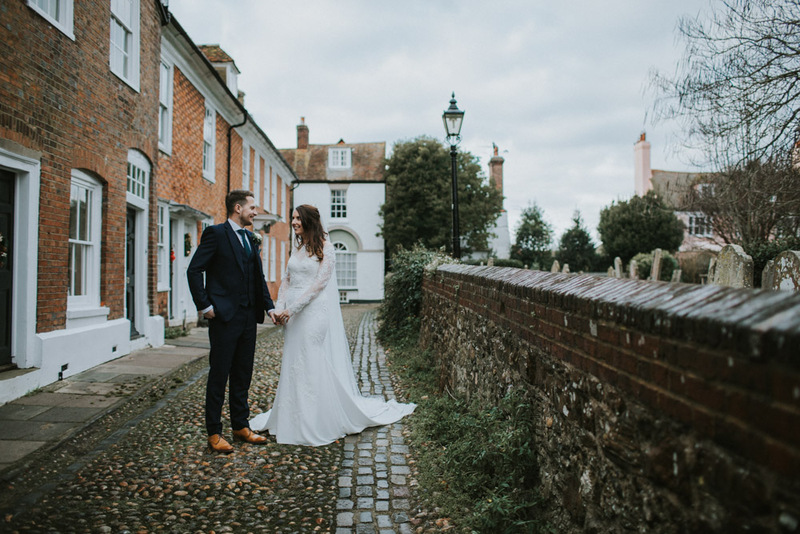 And with its cobbled streets, beautiful old buildings and with a fair amount of tourists clambering for a look at the lovely couple while we snapped their portraits, it was pretty idyllic to say the least. 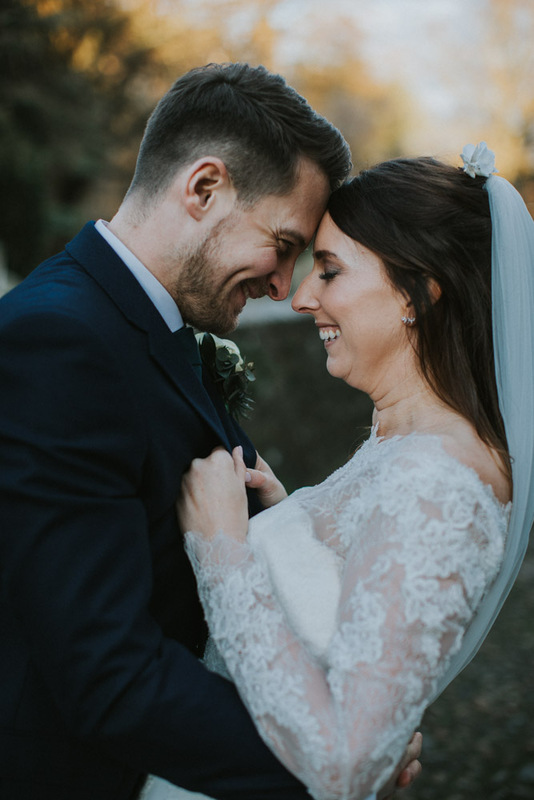 It’s safe to say, they certainly got the day they’d dreamed of, wohoooo! 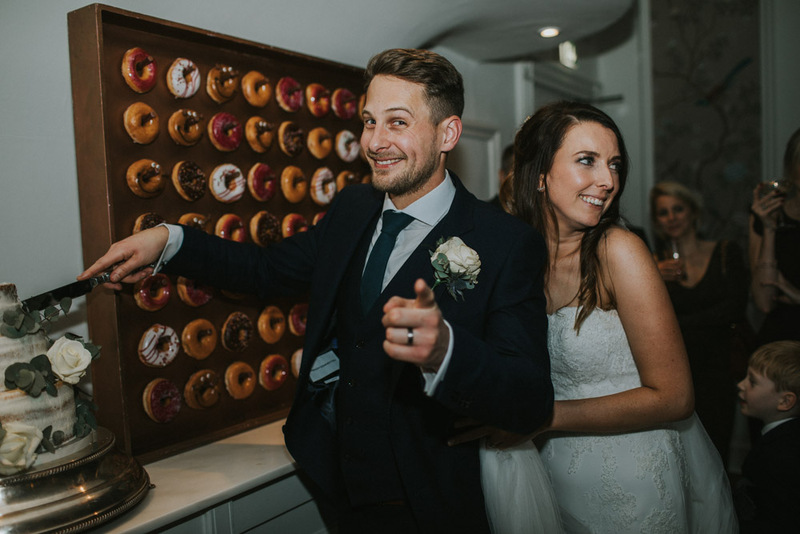 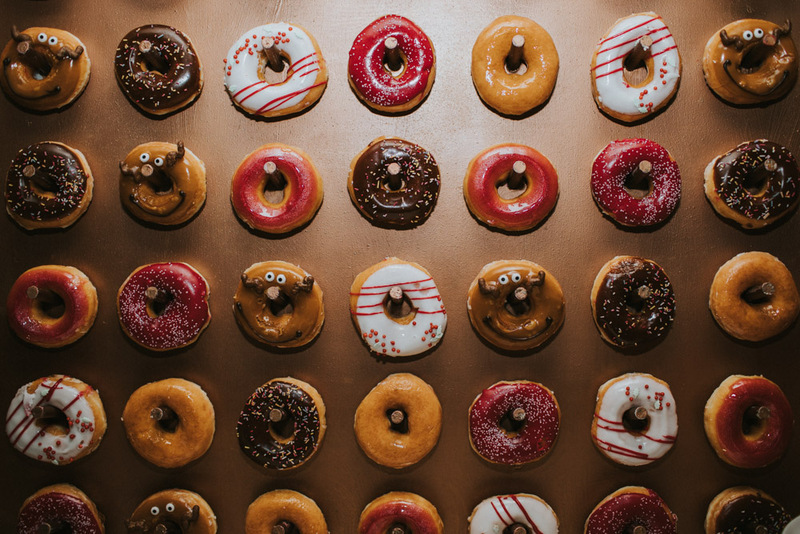 Both of them beaming from ear to ear all day, surrounded by their awesome close friends and family, epic live music and of course, the all-important doughnut wall. 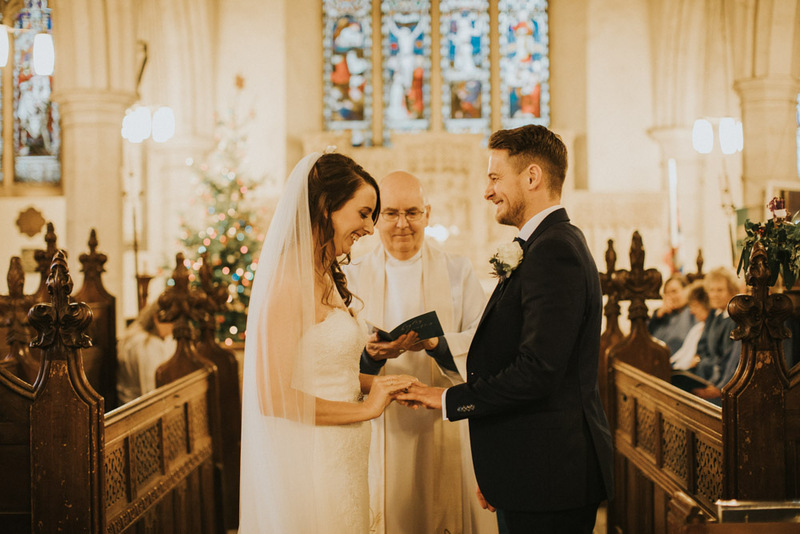 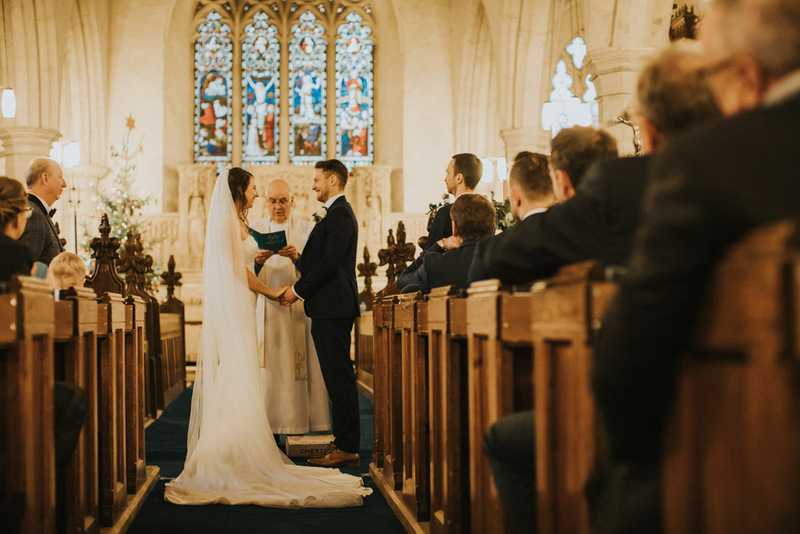 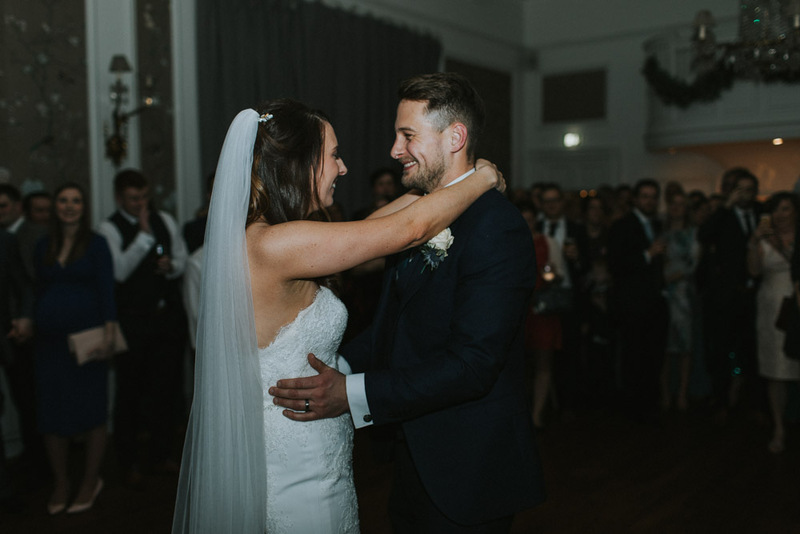 2018 was officially rounded off in some serious style!